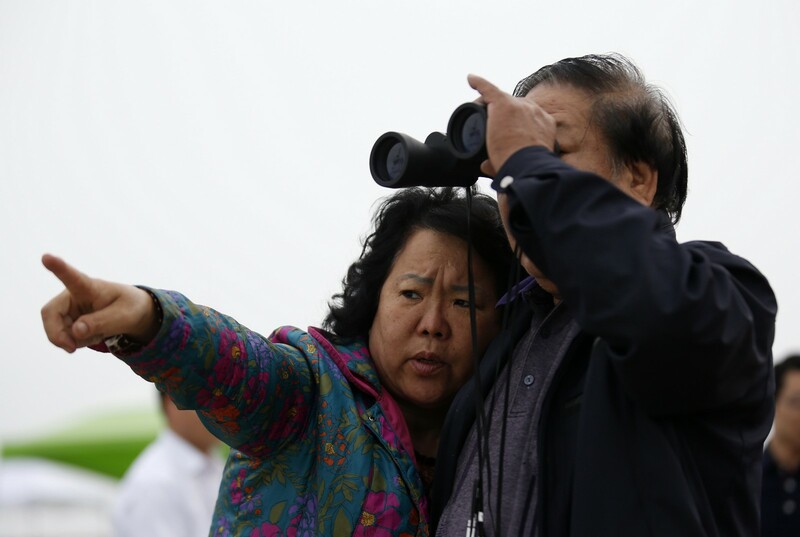 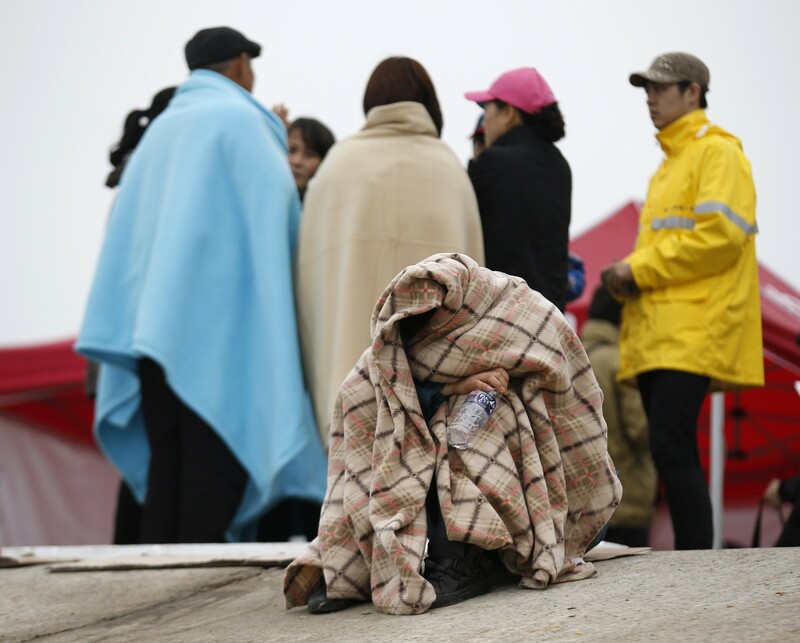 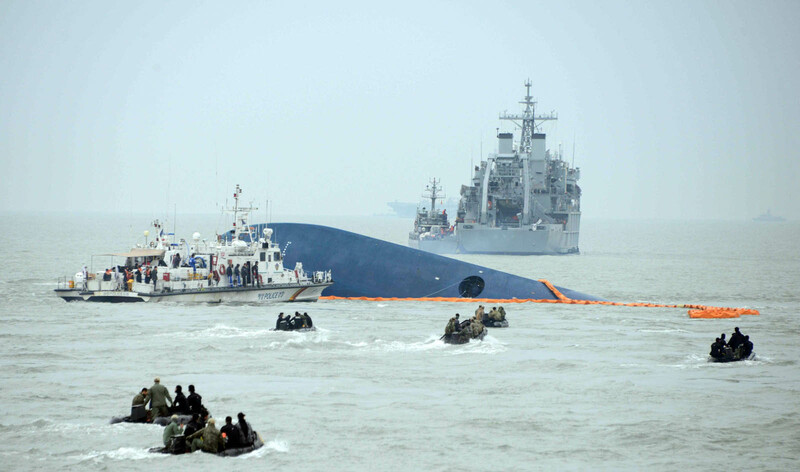 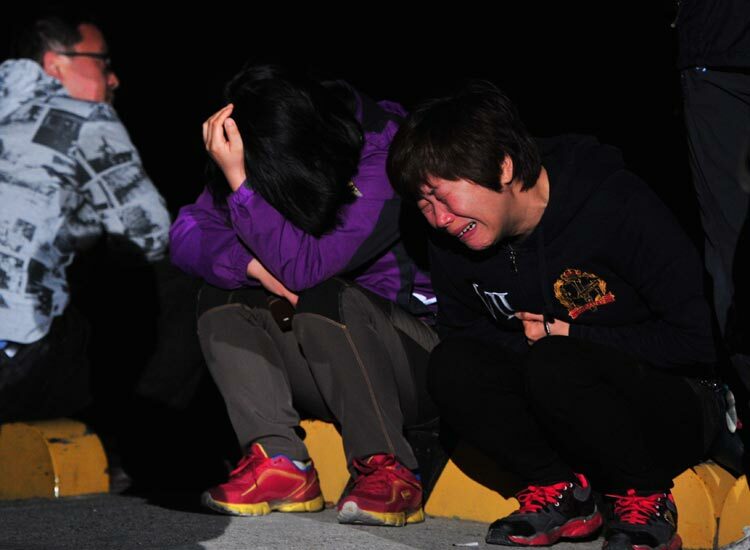 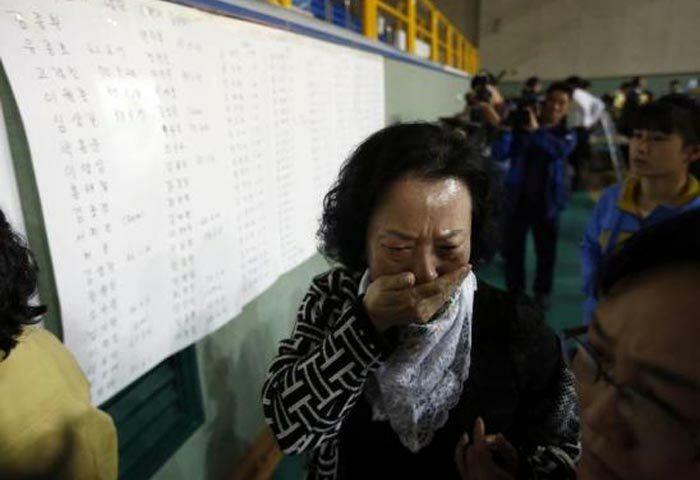 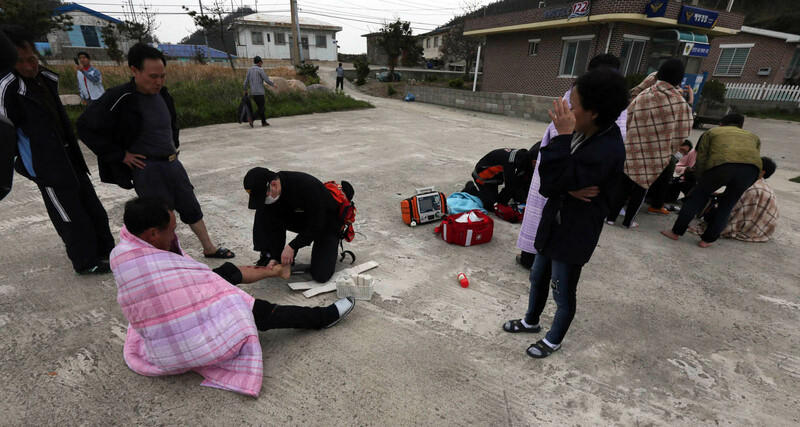 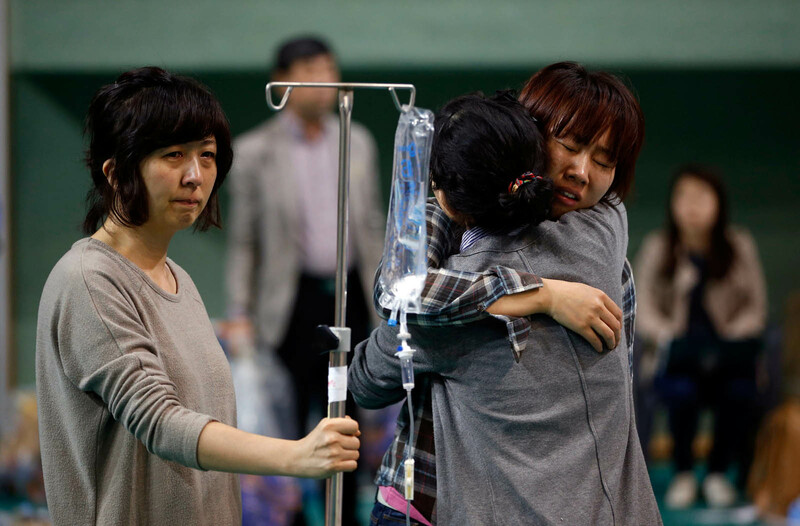 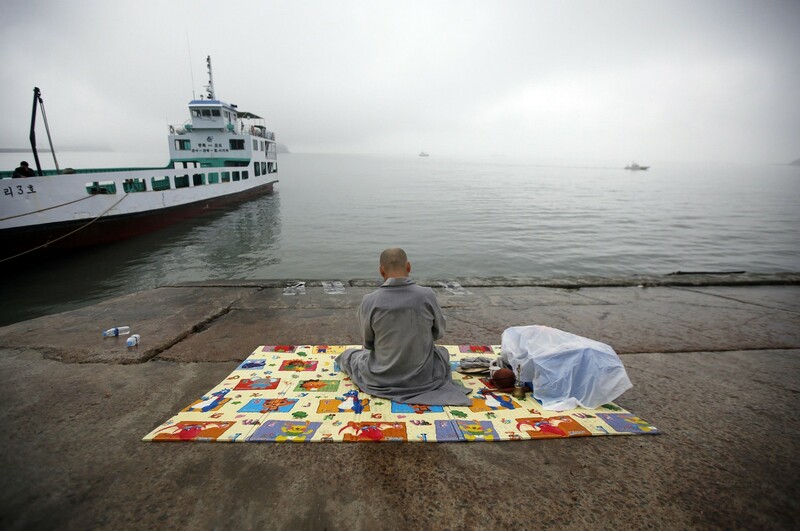 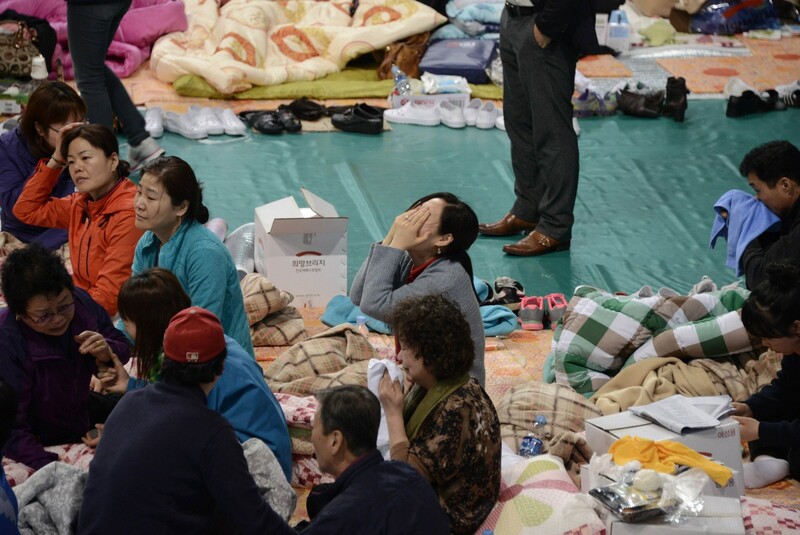 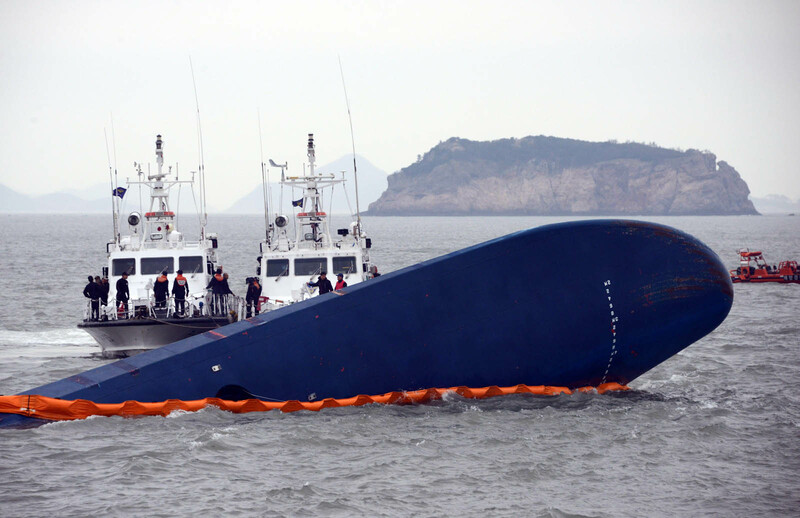 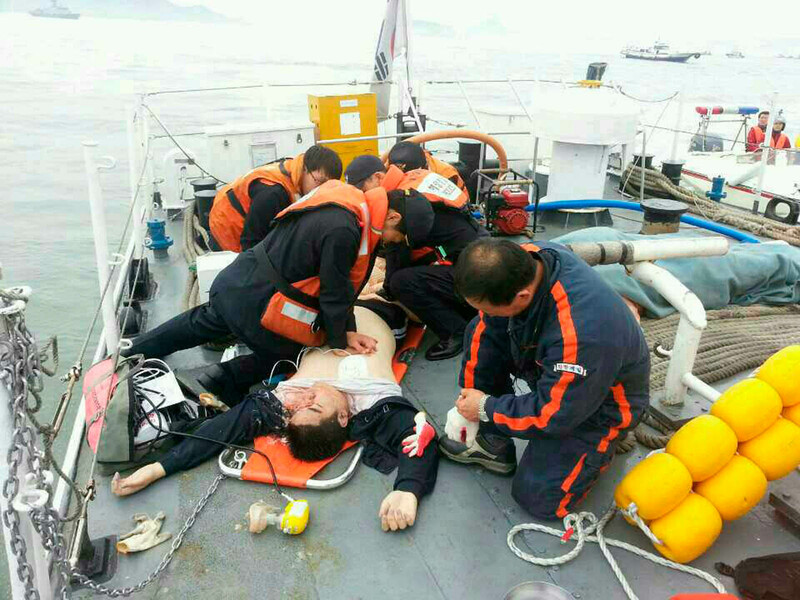 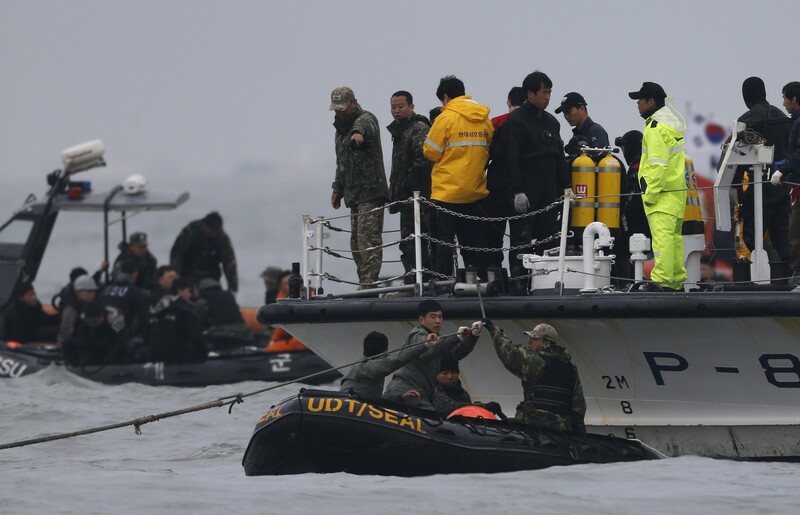 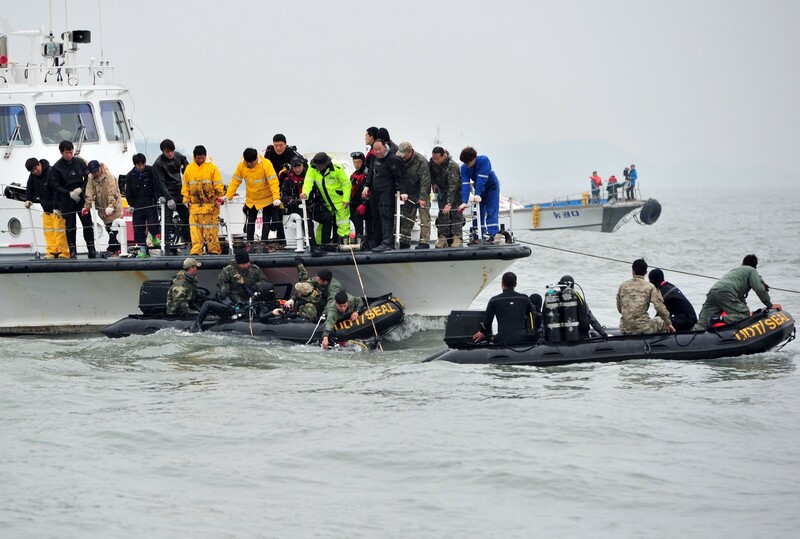 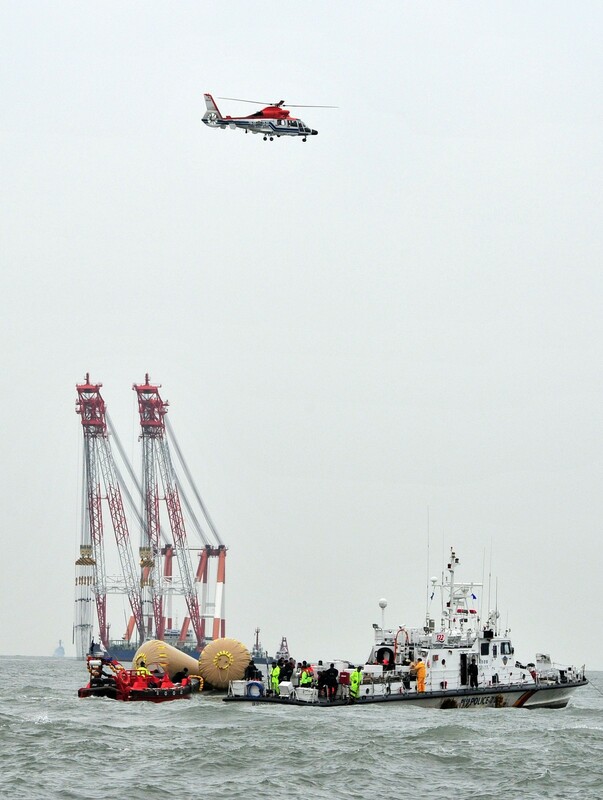 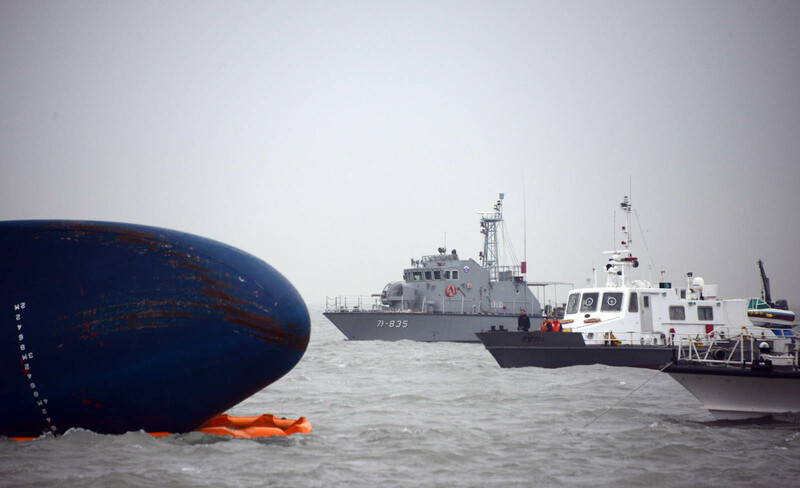 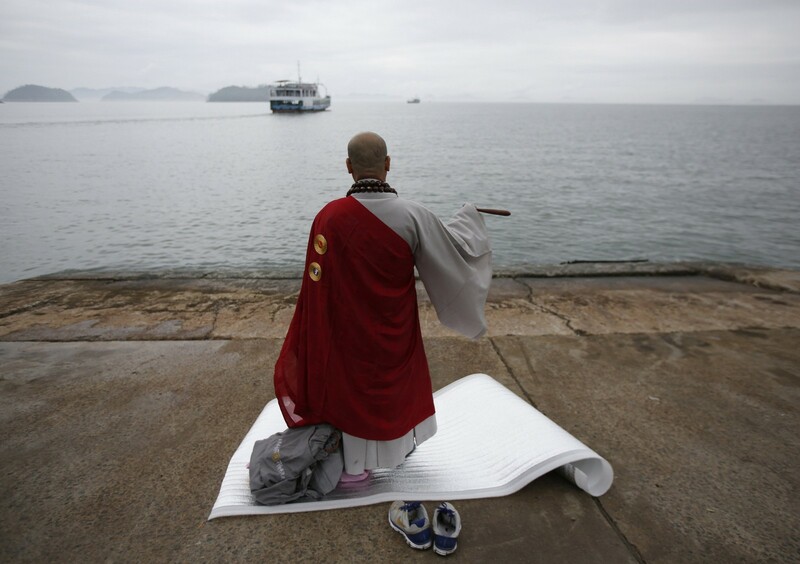 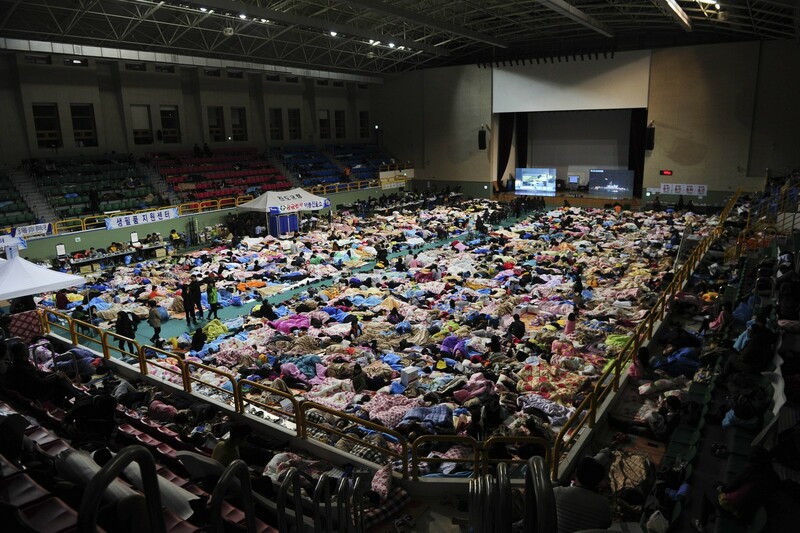 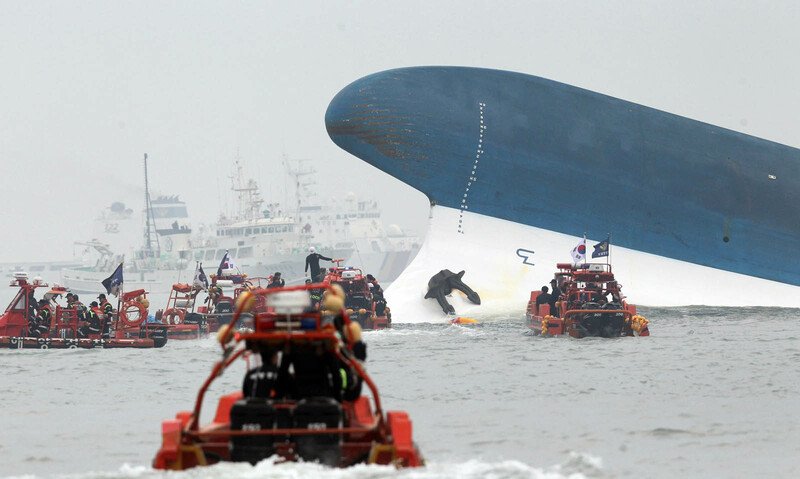 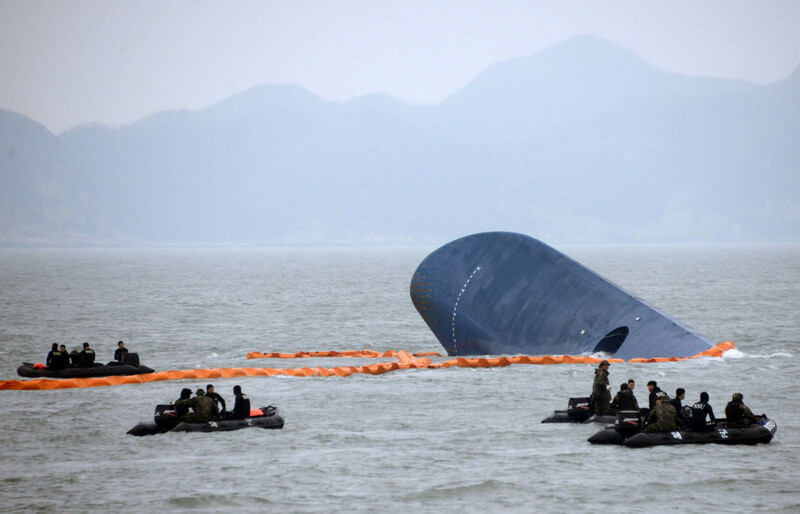 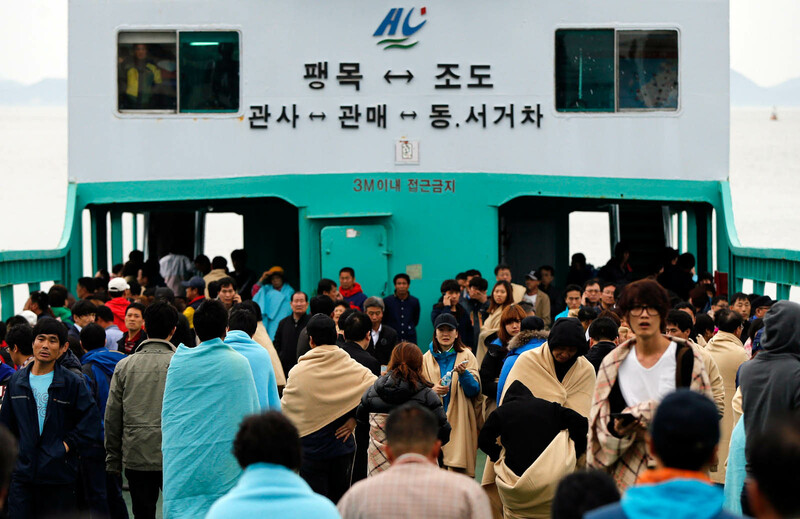 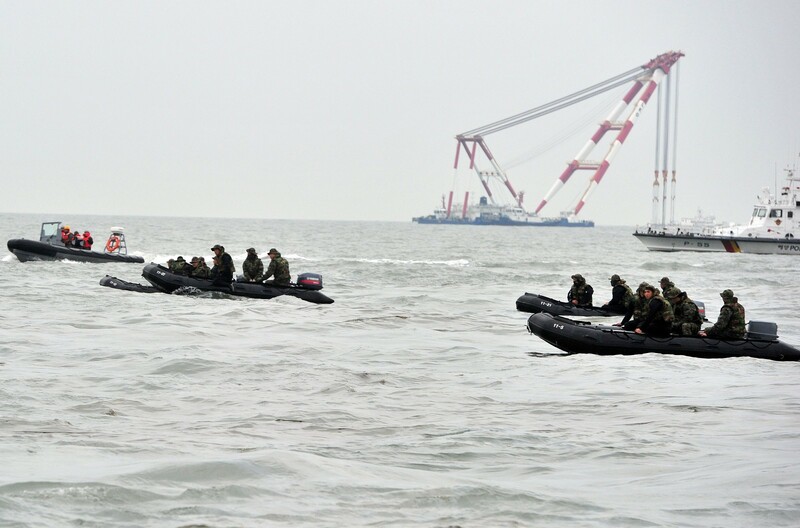 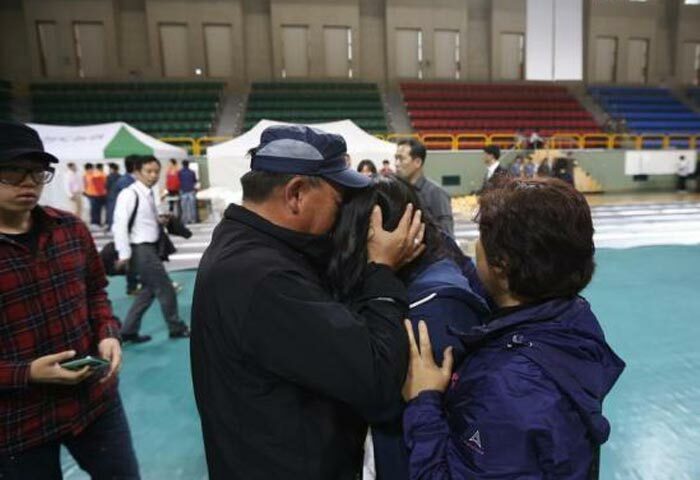 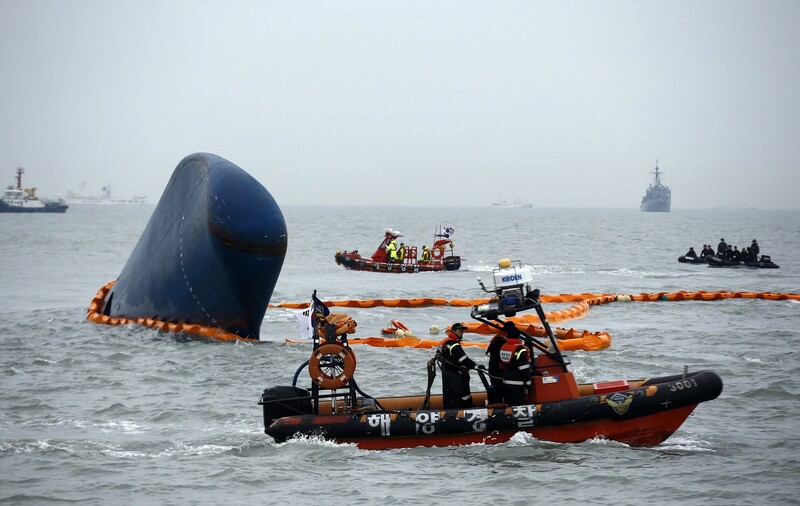 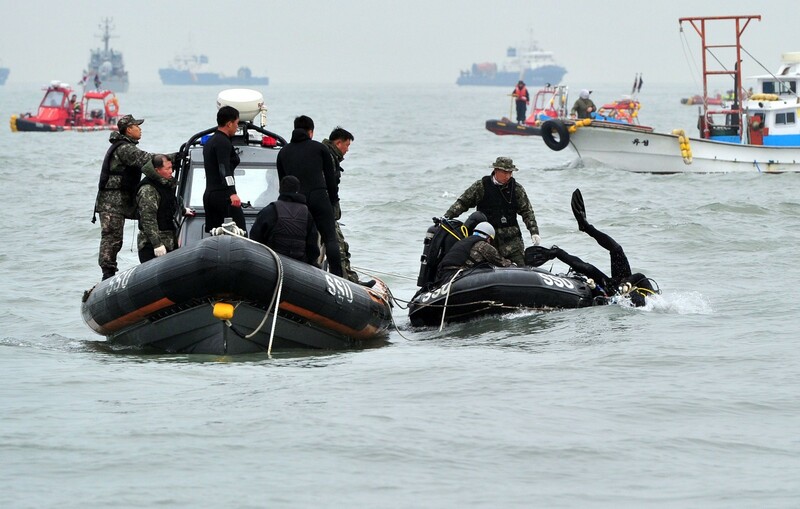 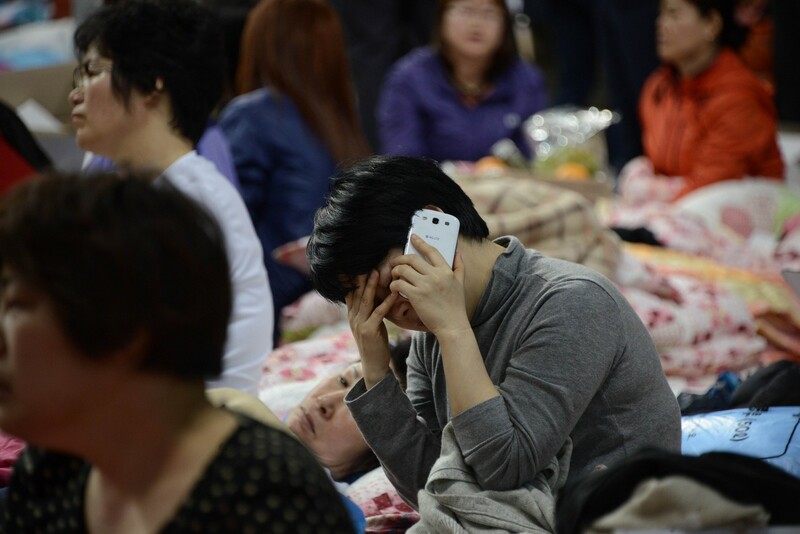 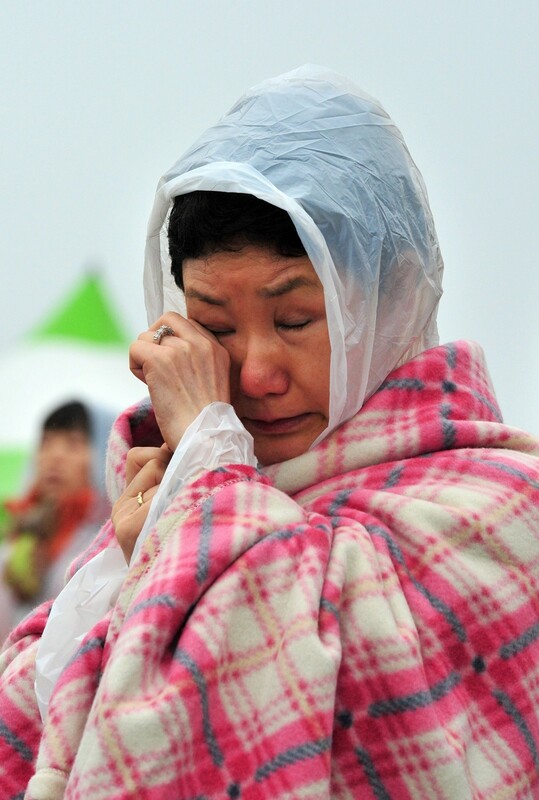 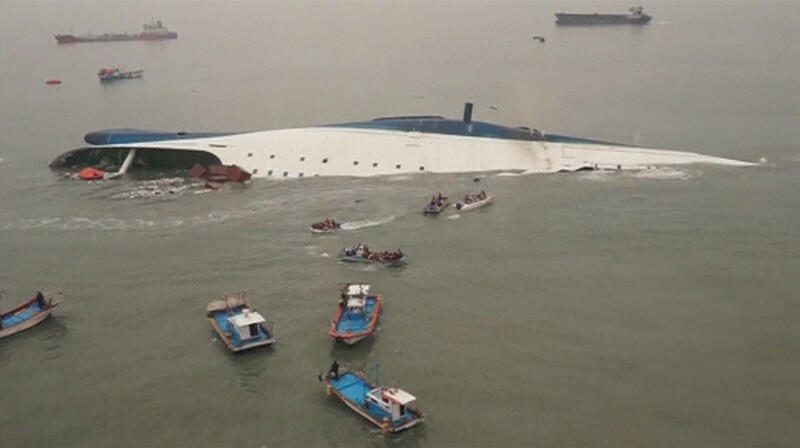 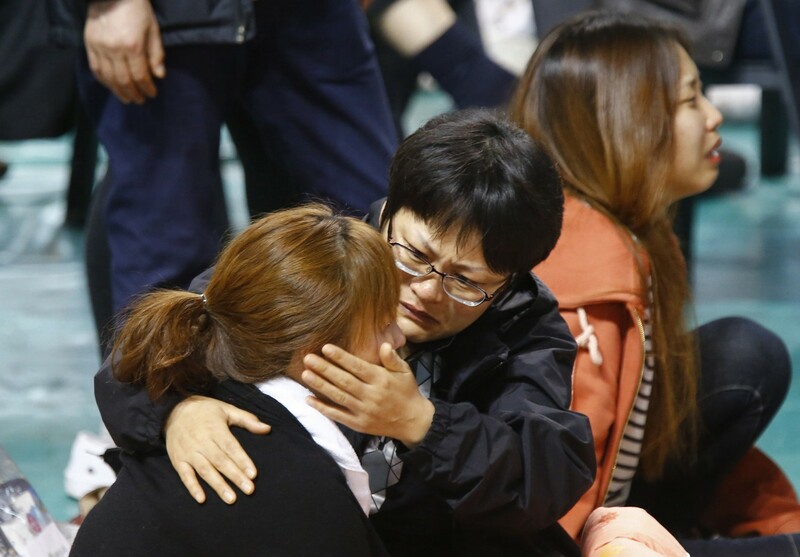 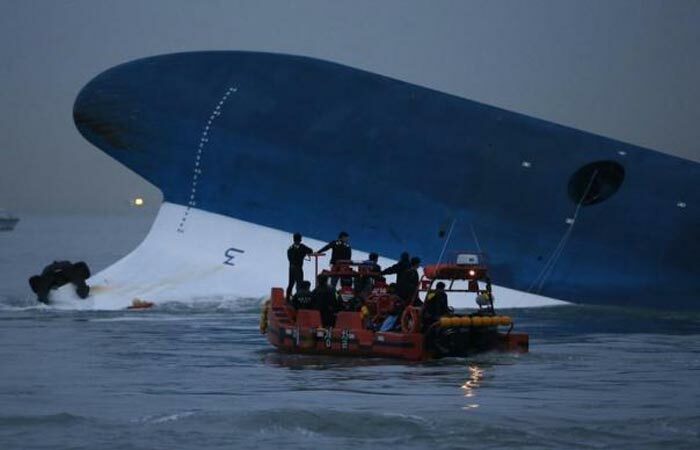 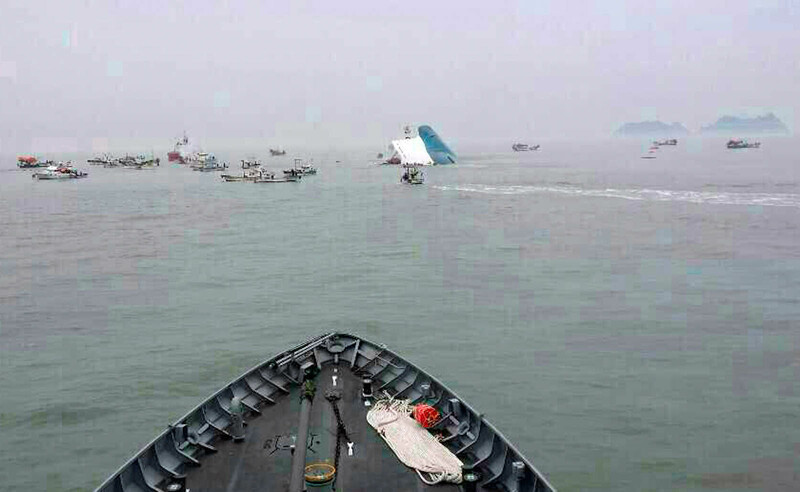 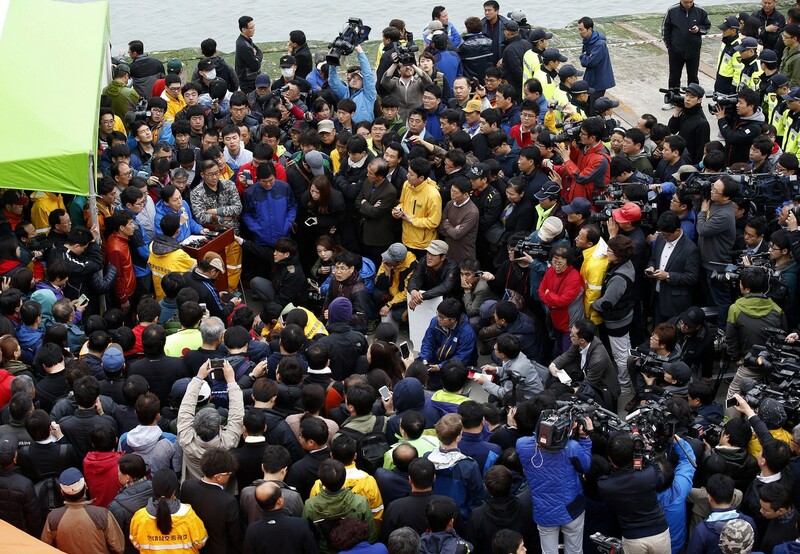 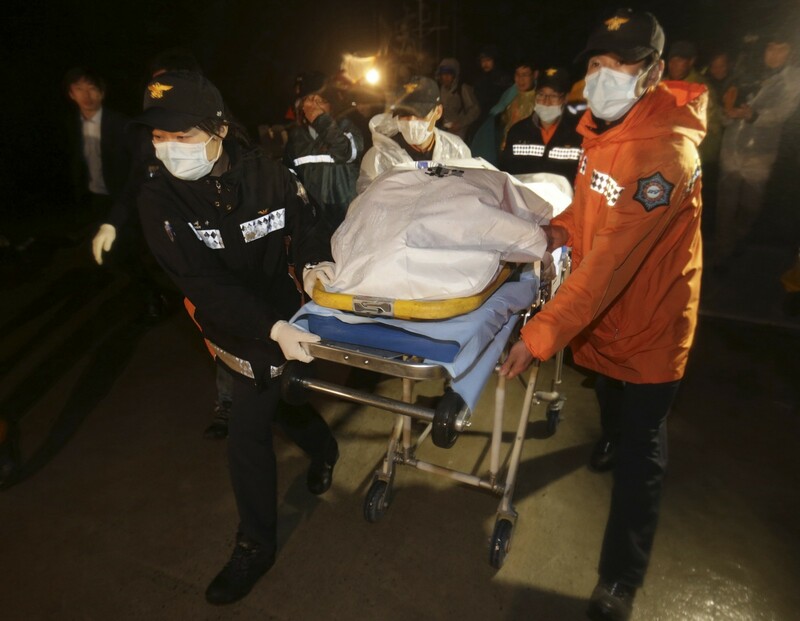 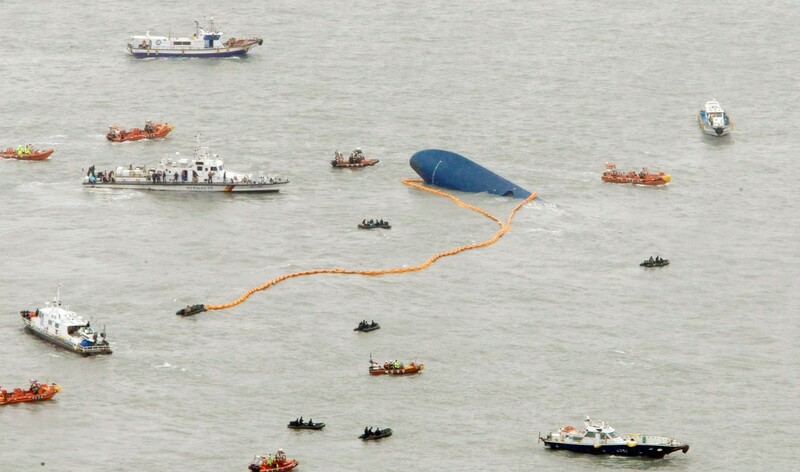 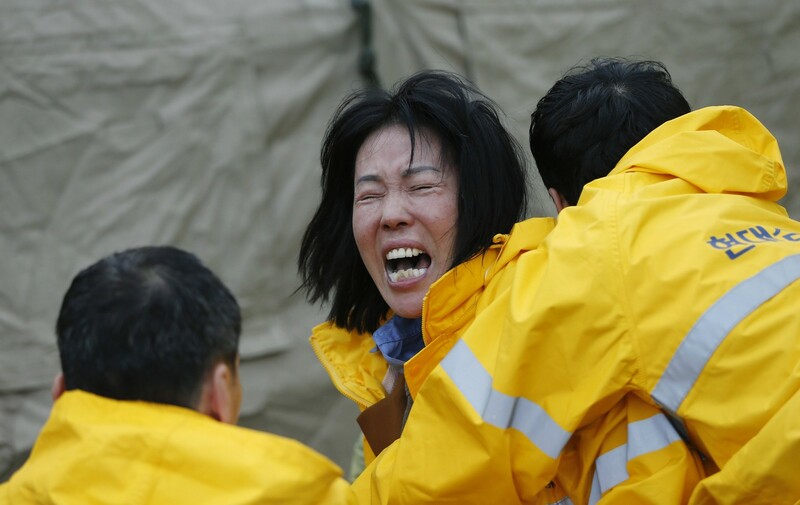 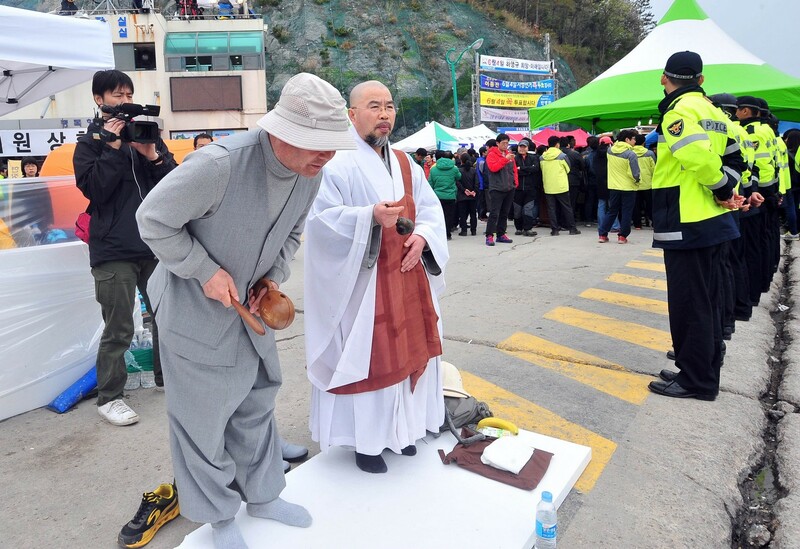 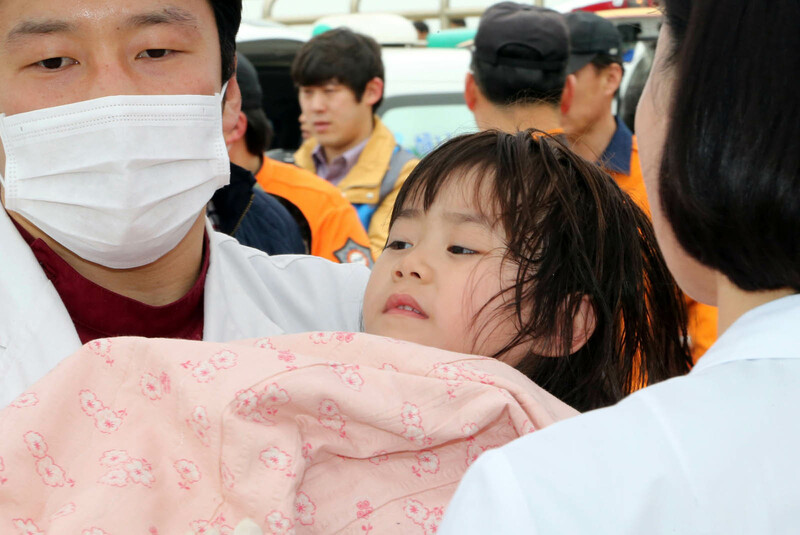 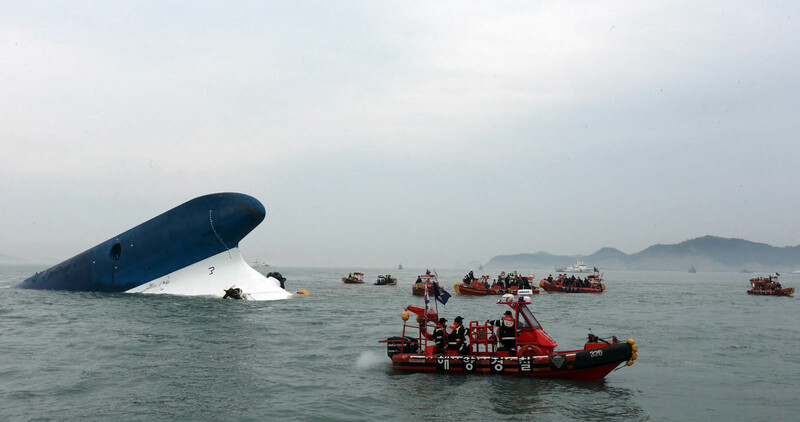 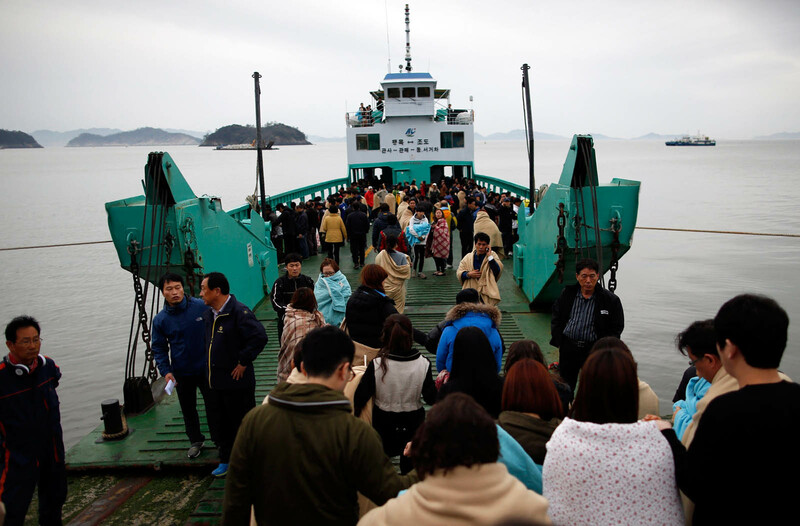 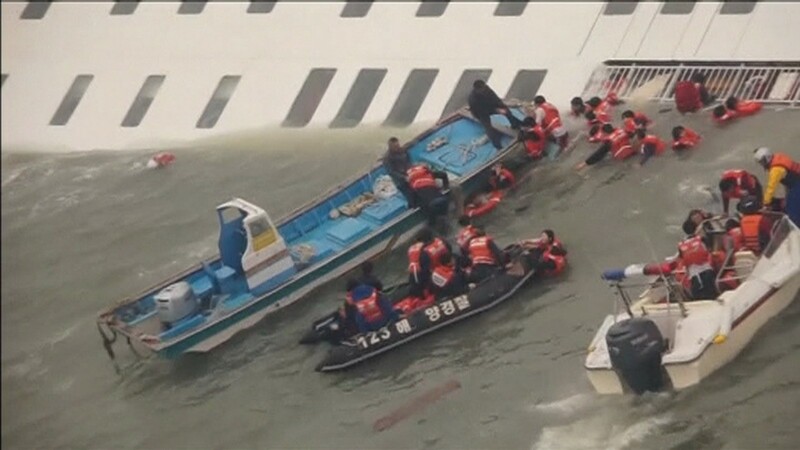 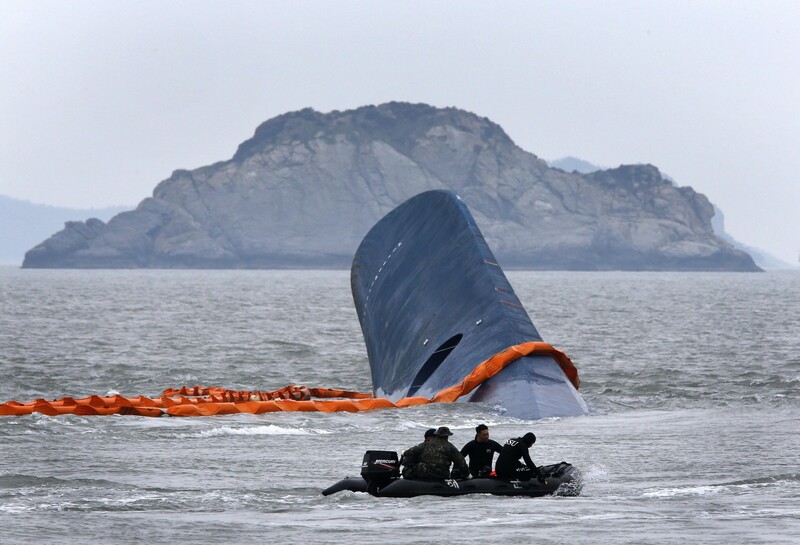 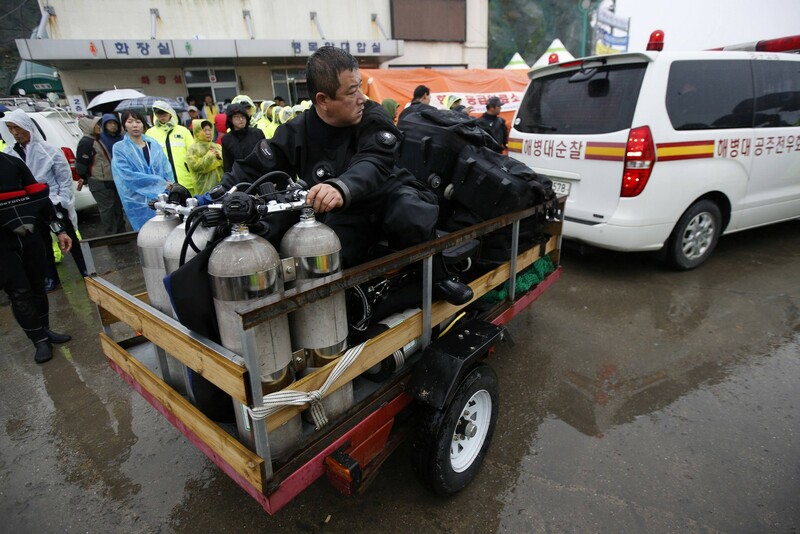 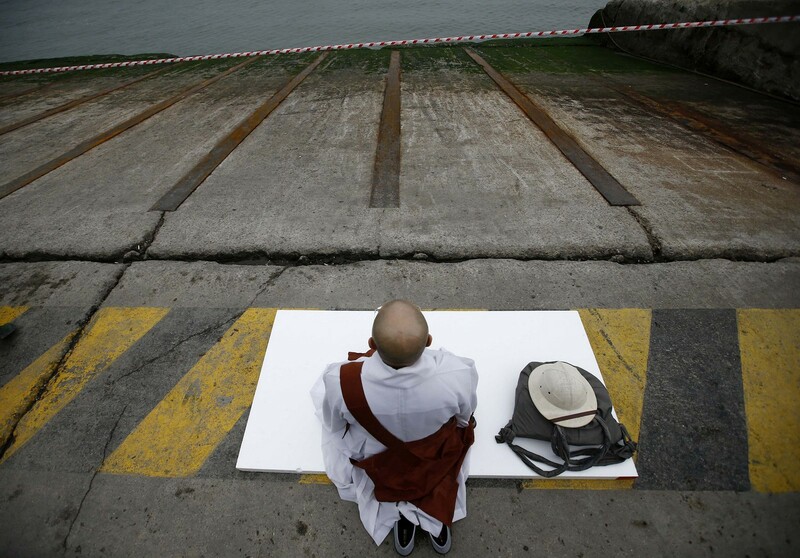 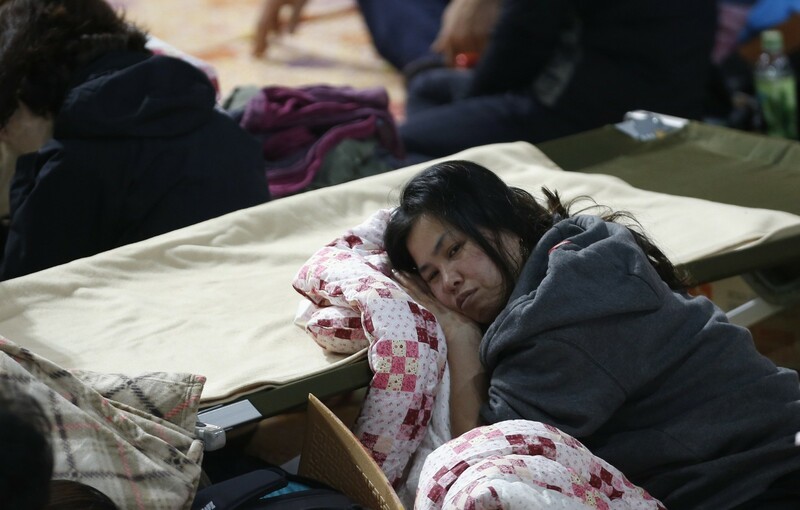 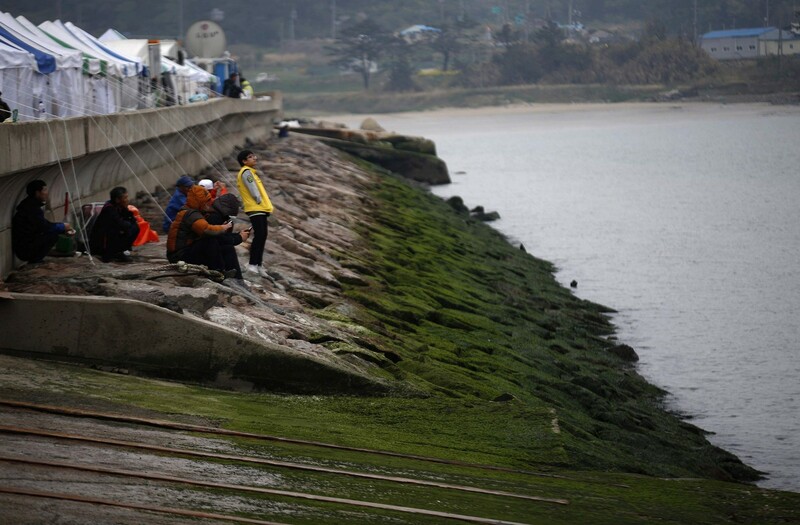 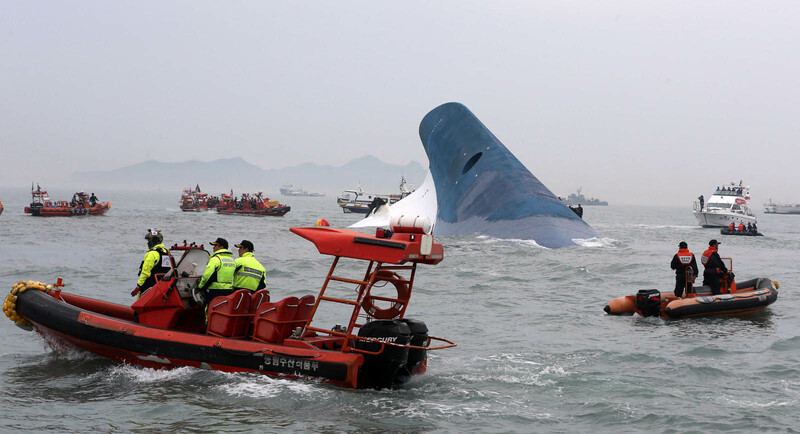 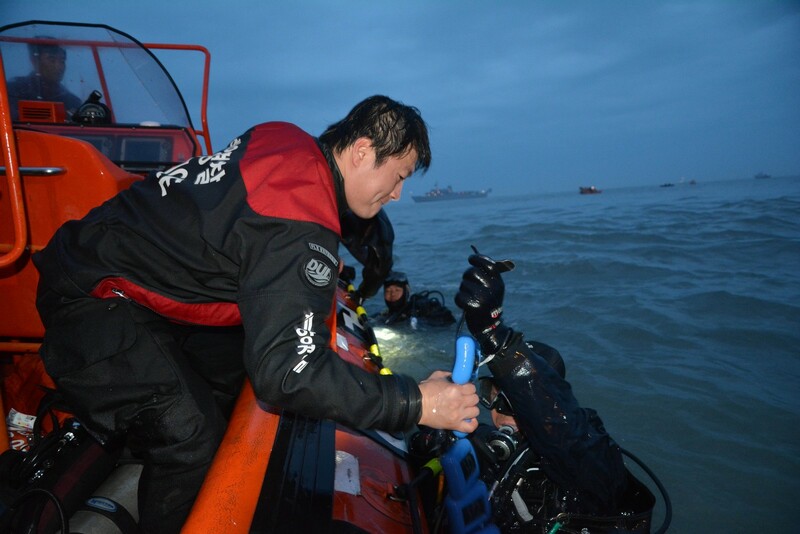 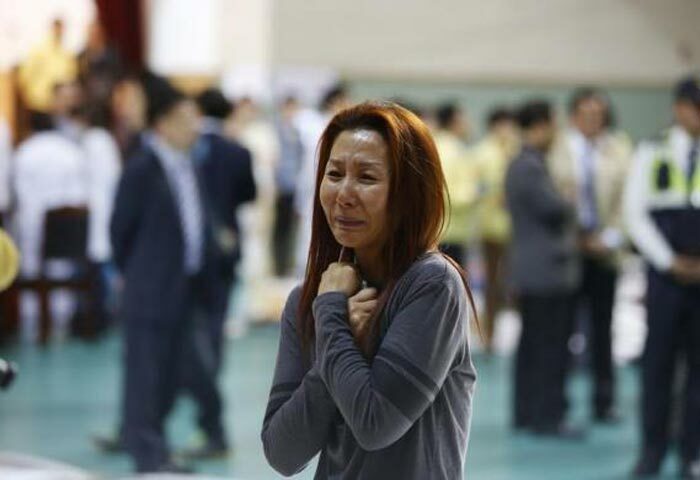 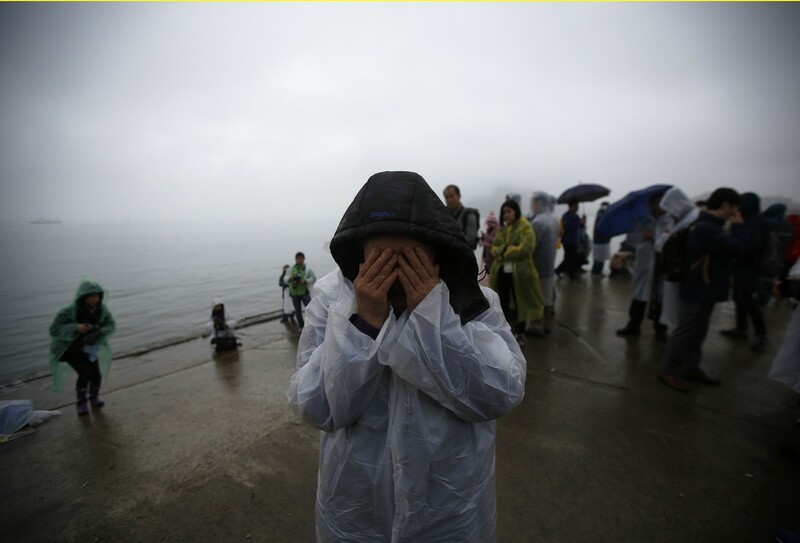 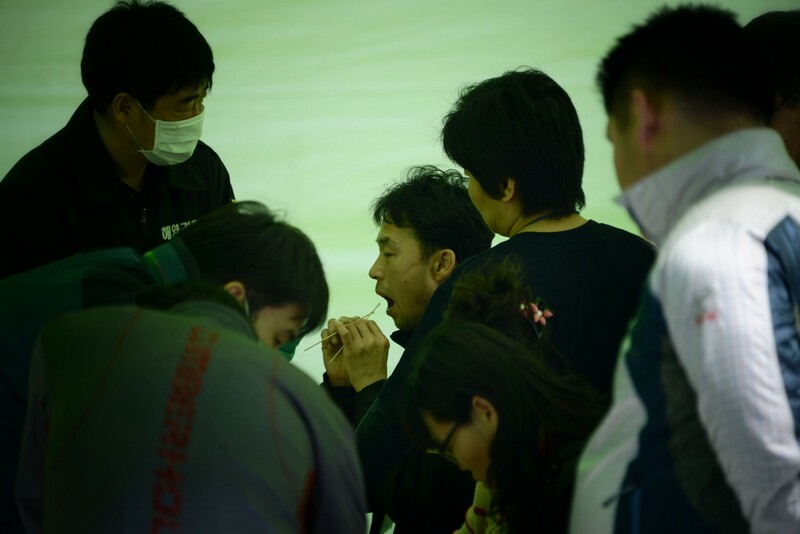 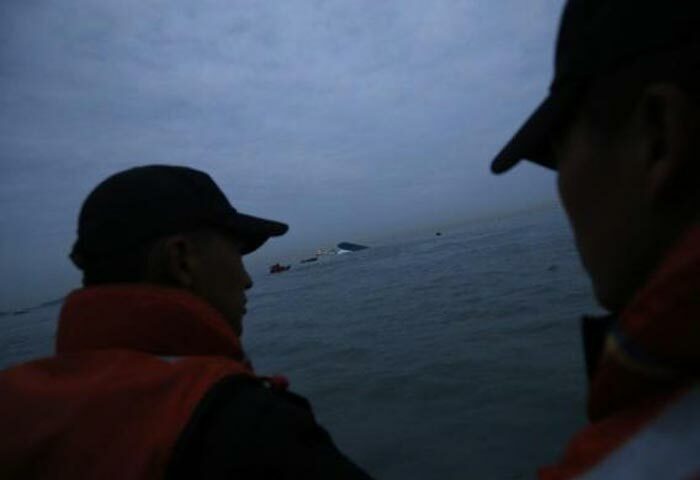 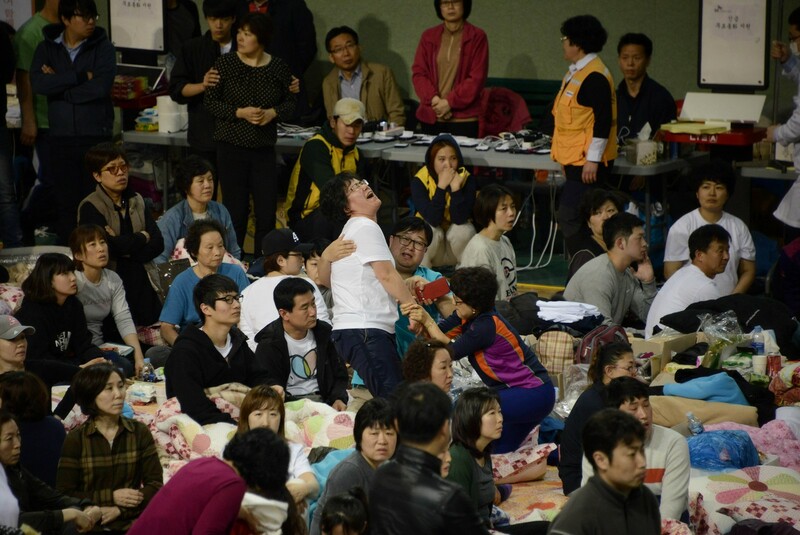 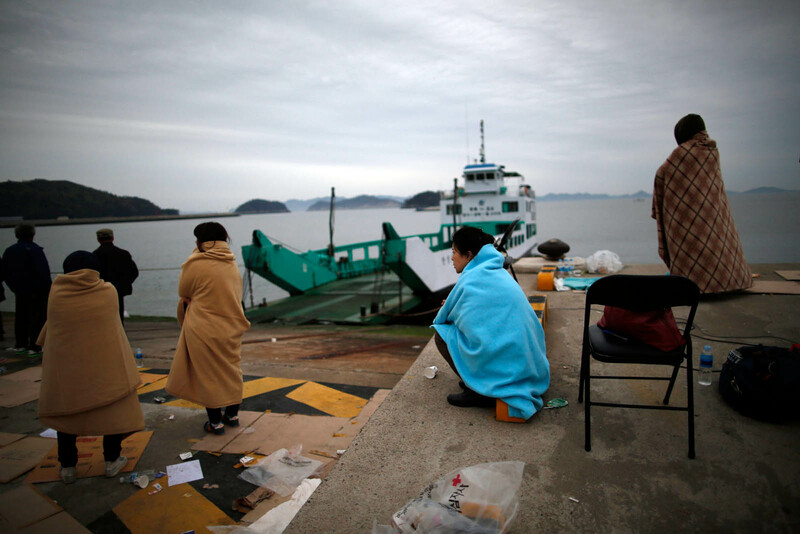 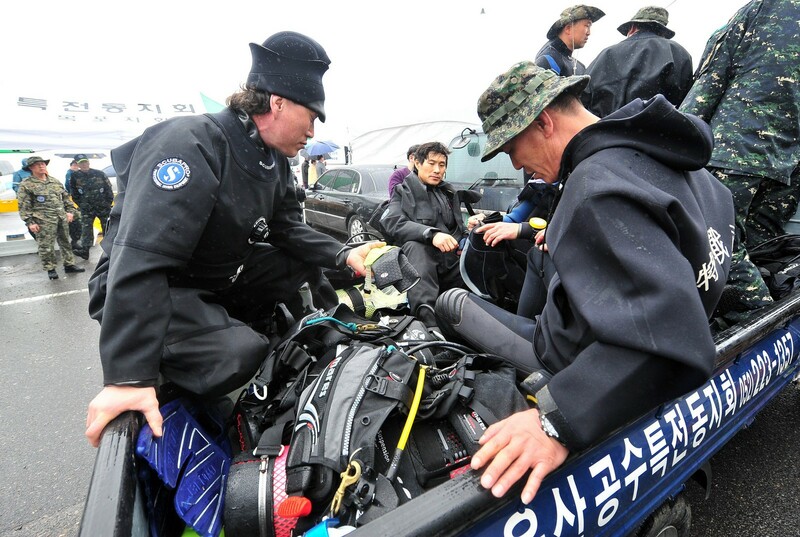 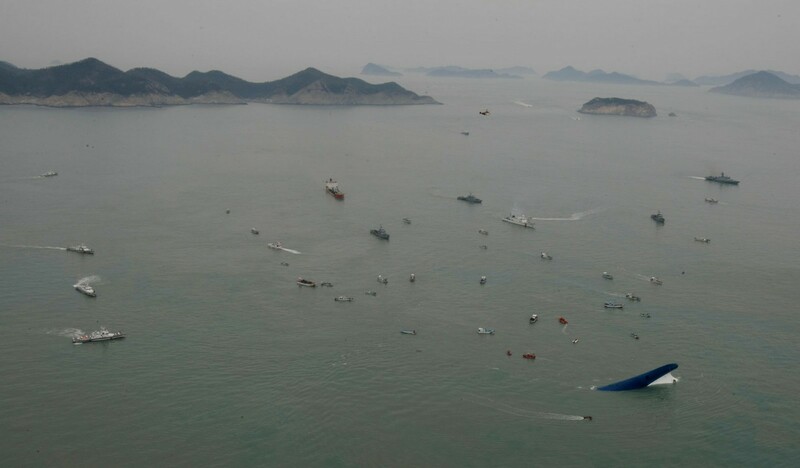 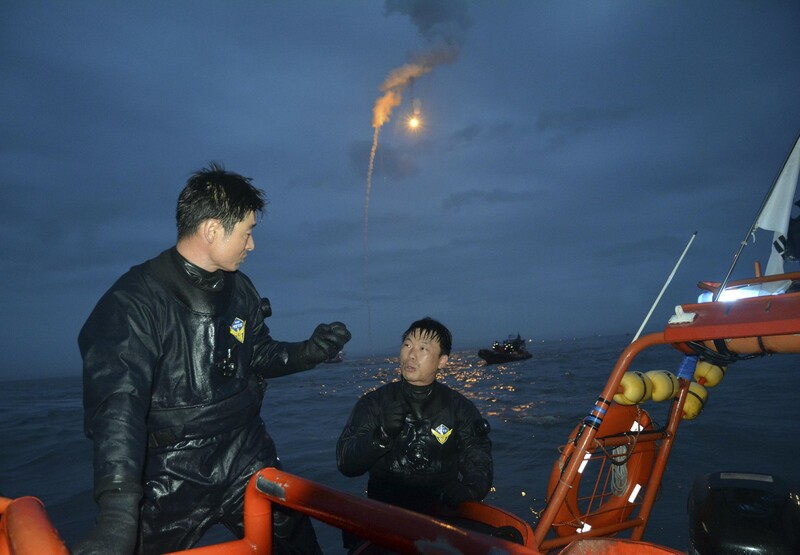 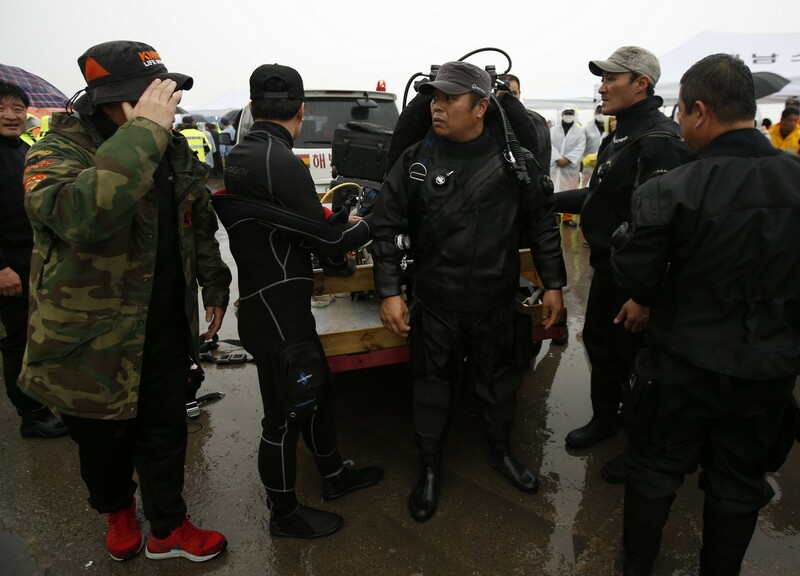 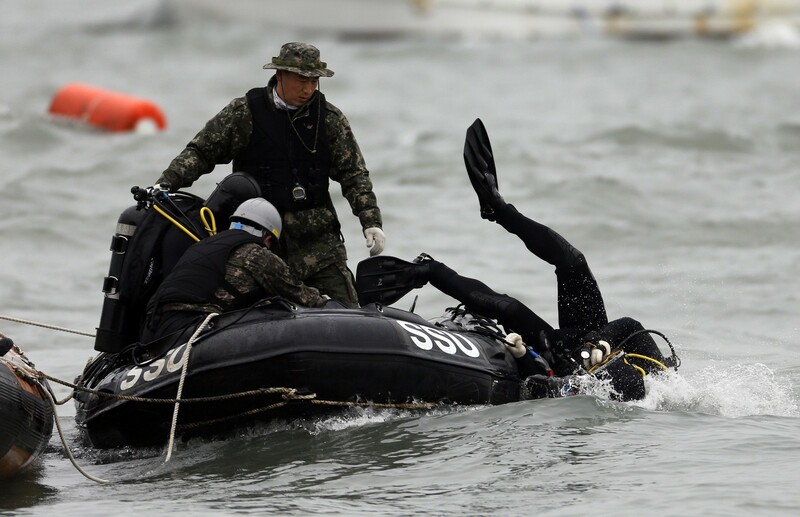 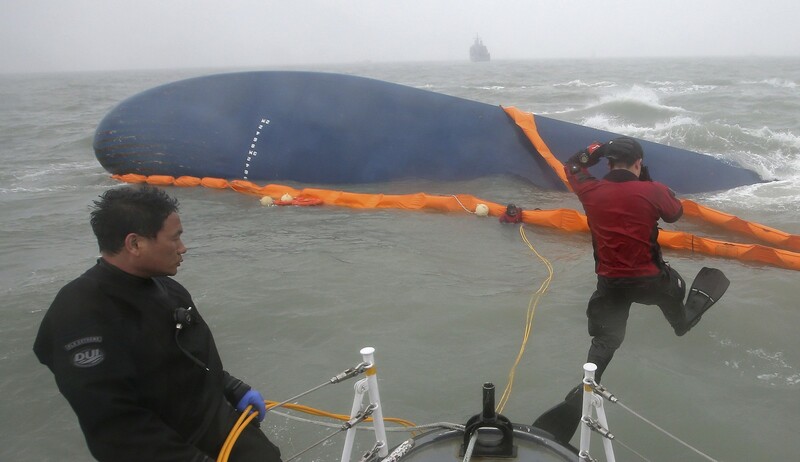 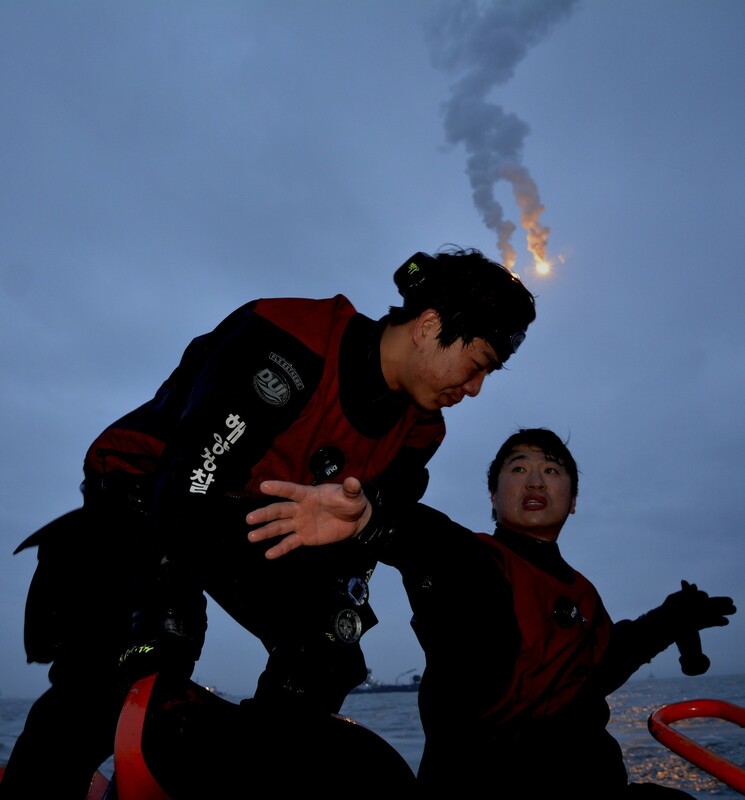 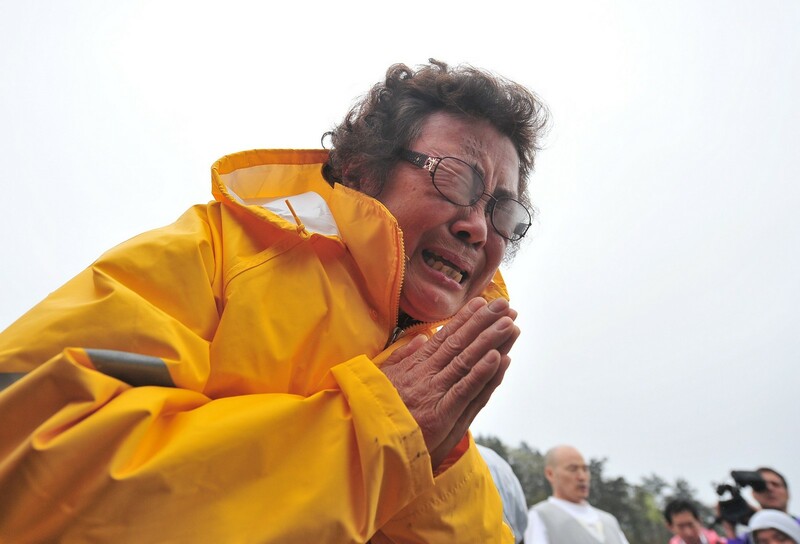 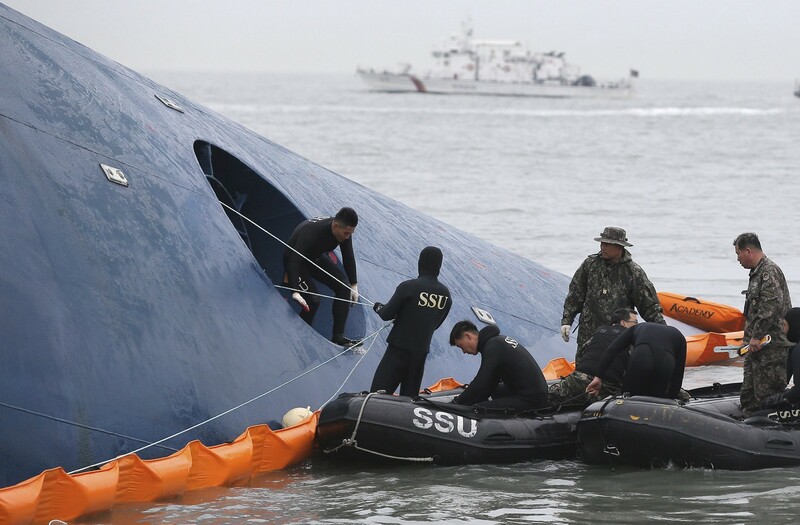 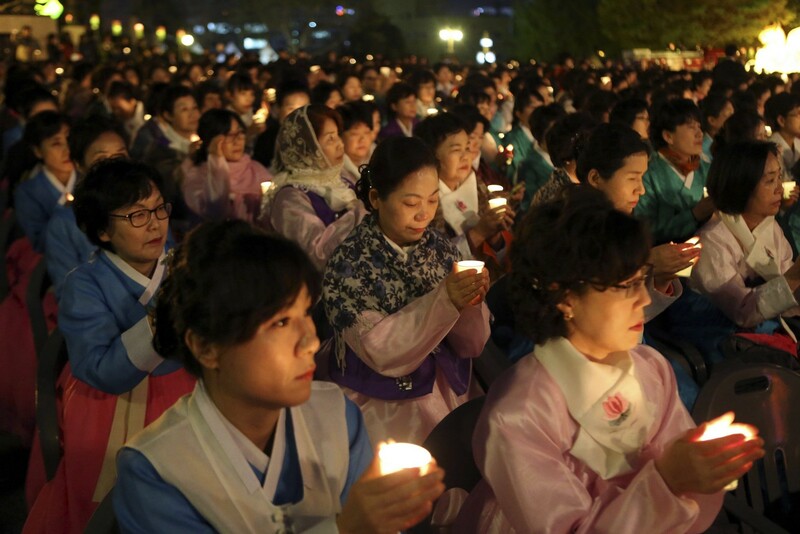 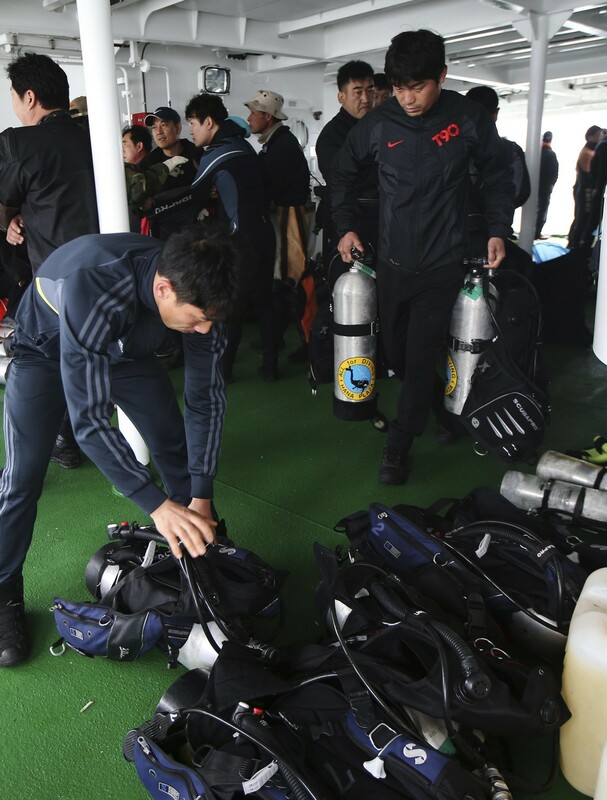 JINDO, South Korea - Panic-stricken and fumbling for a response, the crew of a South Korean ferry dithered over the evacuation of passengers in the crucial final moments before it sank, a transcript released Sunday revealed, as divers began retrieving bodies from the vessel. 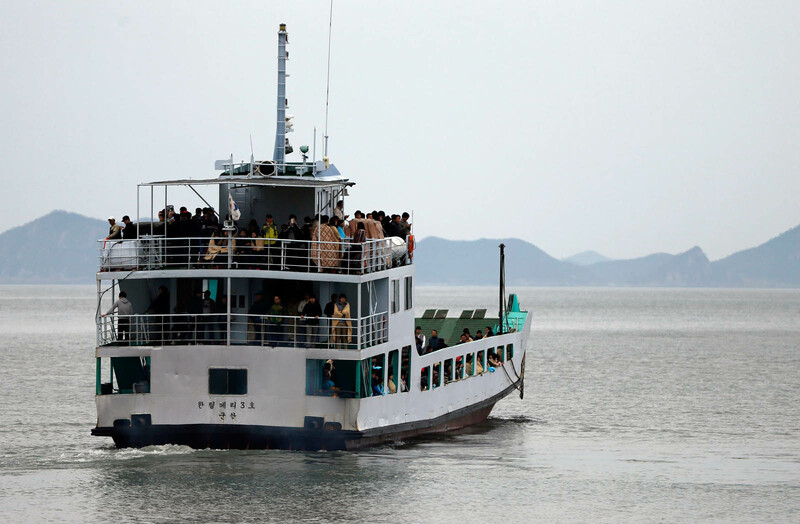 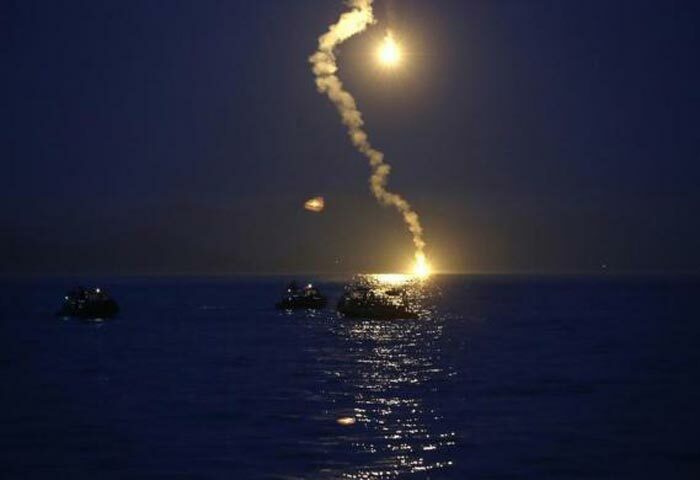 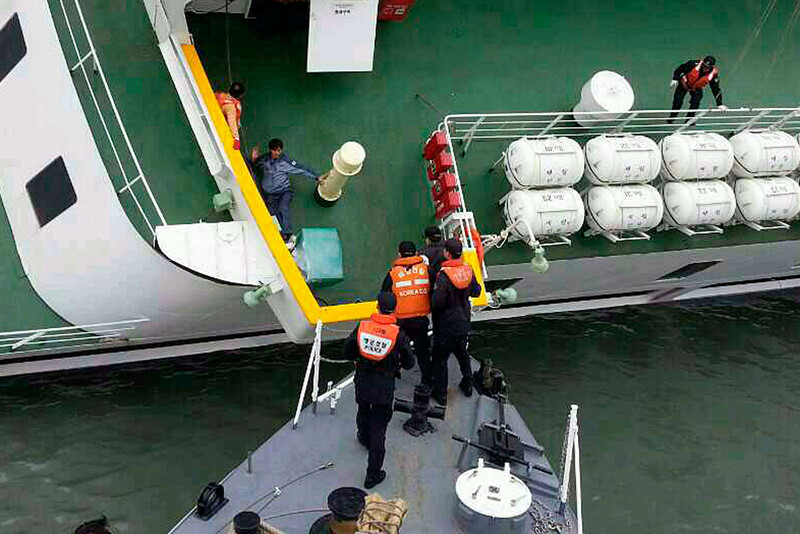 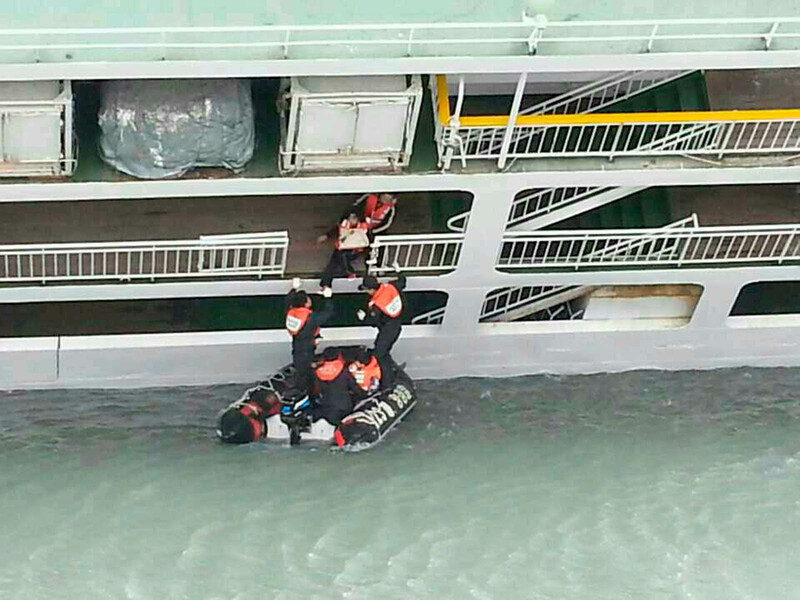 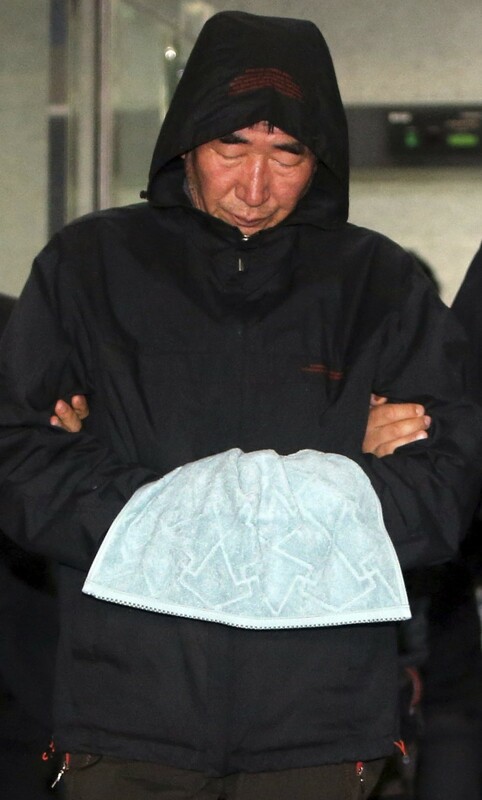 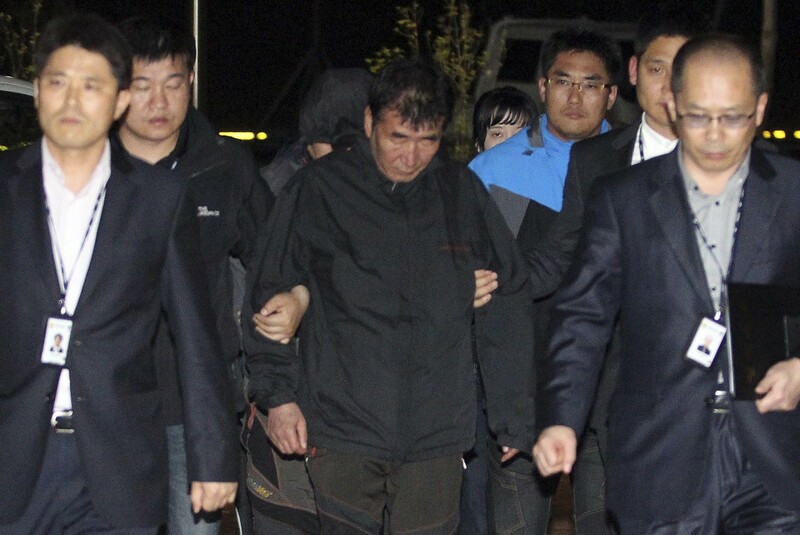 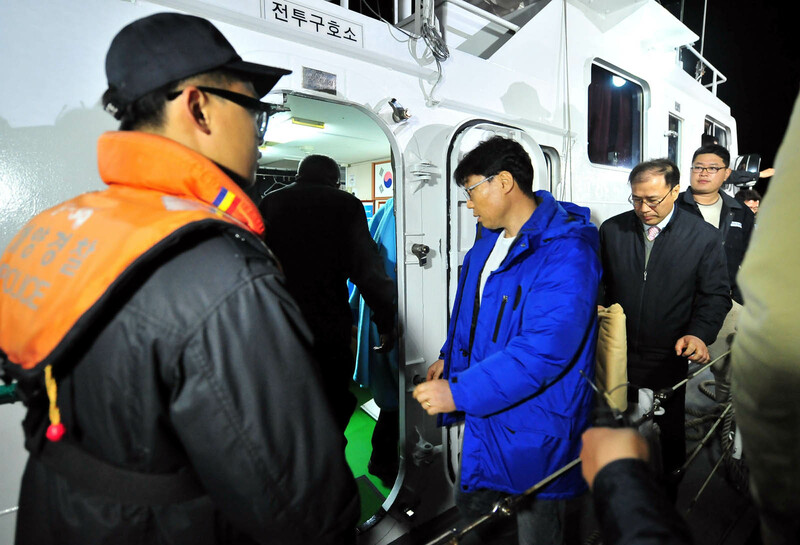 Investigators arrested ferry captain Lee Joon-Seok on Saturday along with a helmsman and the ship's relatively inexperienced third officer, charging them with negligence and failing to secure the safety of hundreds of passengers - most of them children on a high school holiday trip. 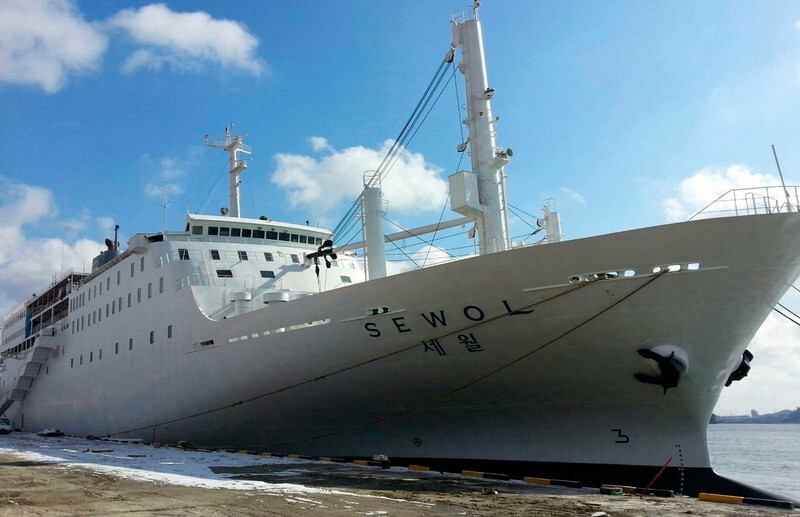 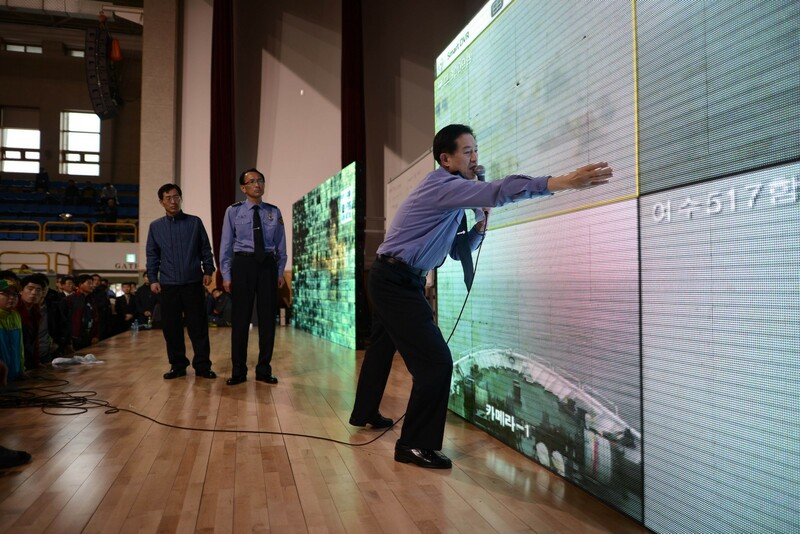 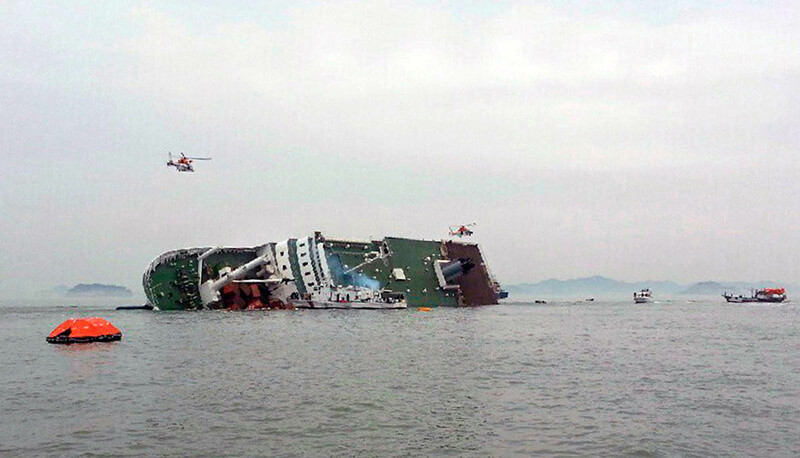 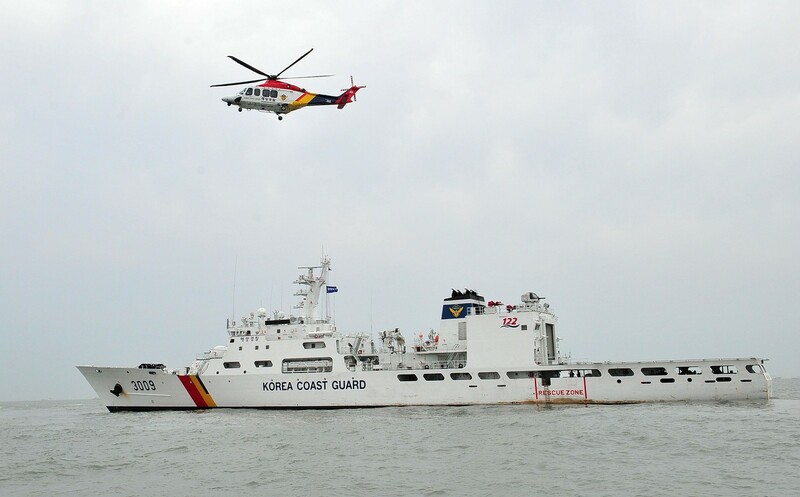 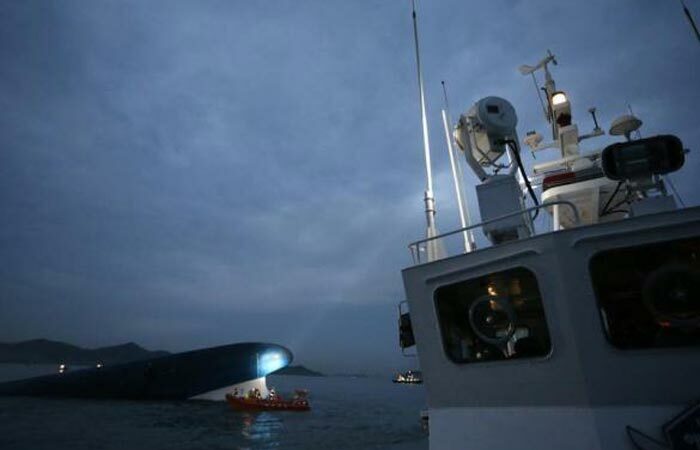 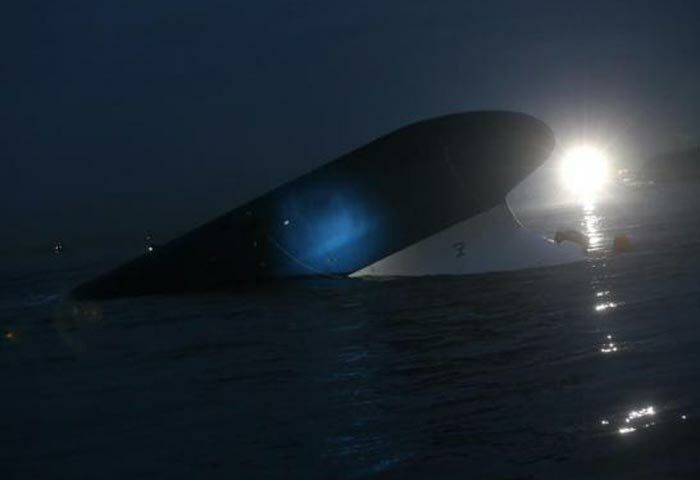 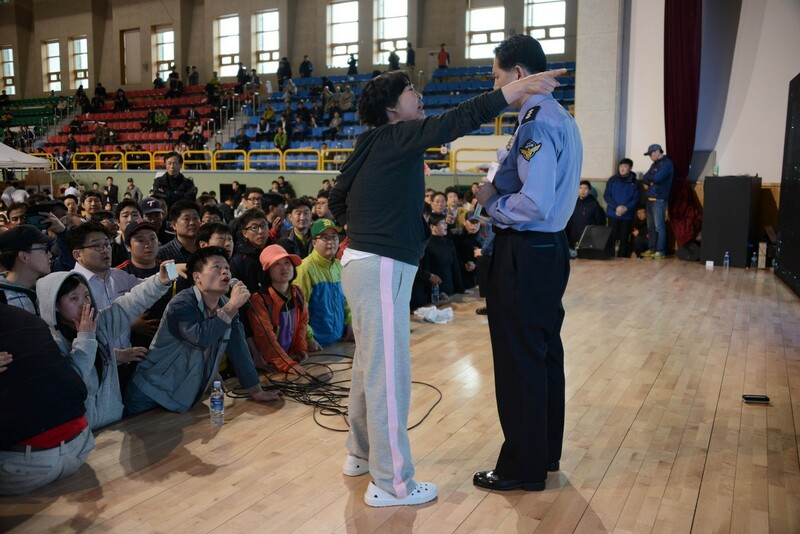 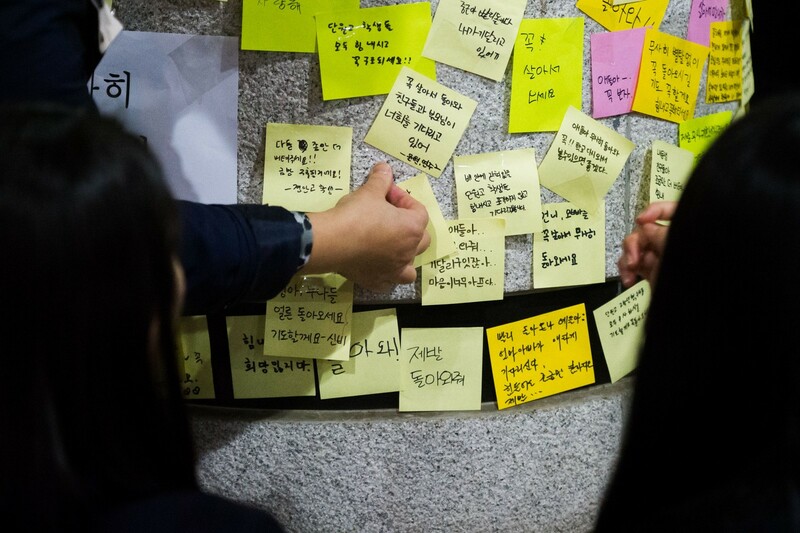 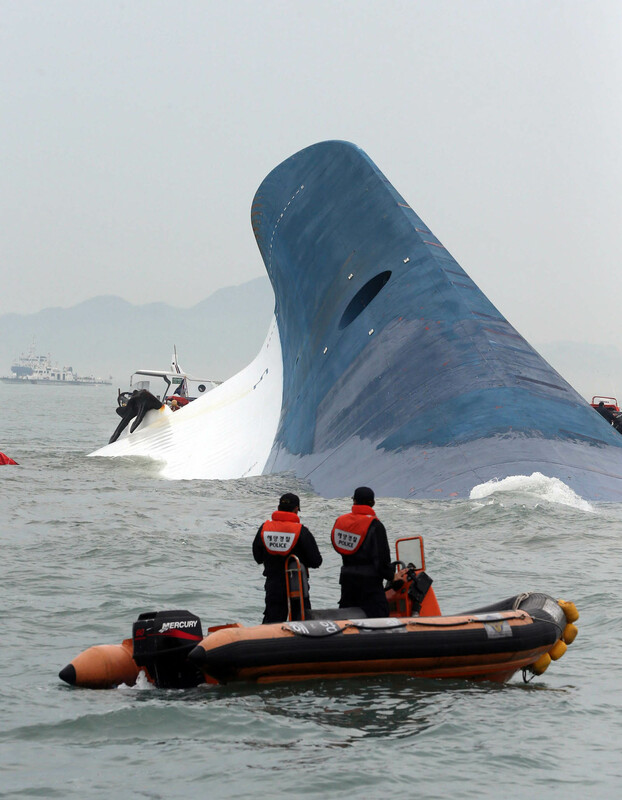 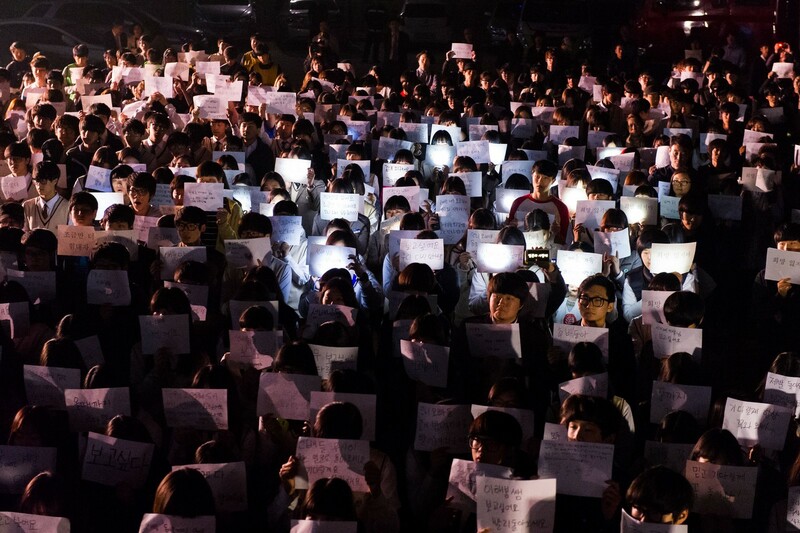 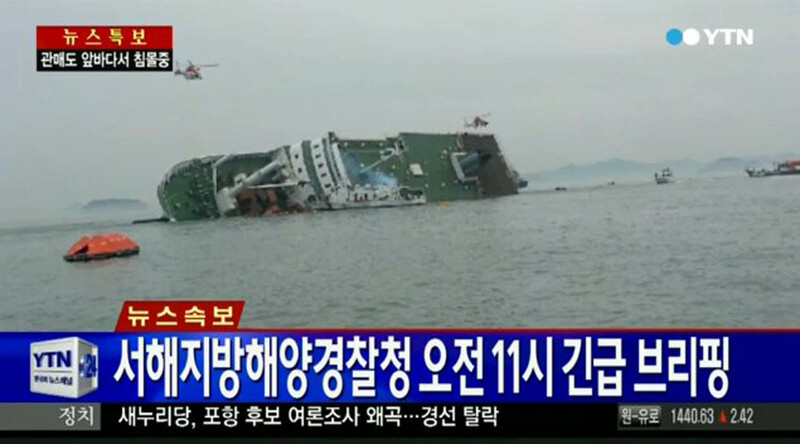 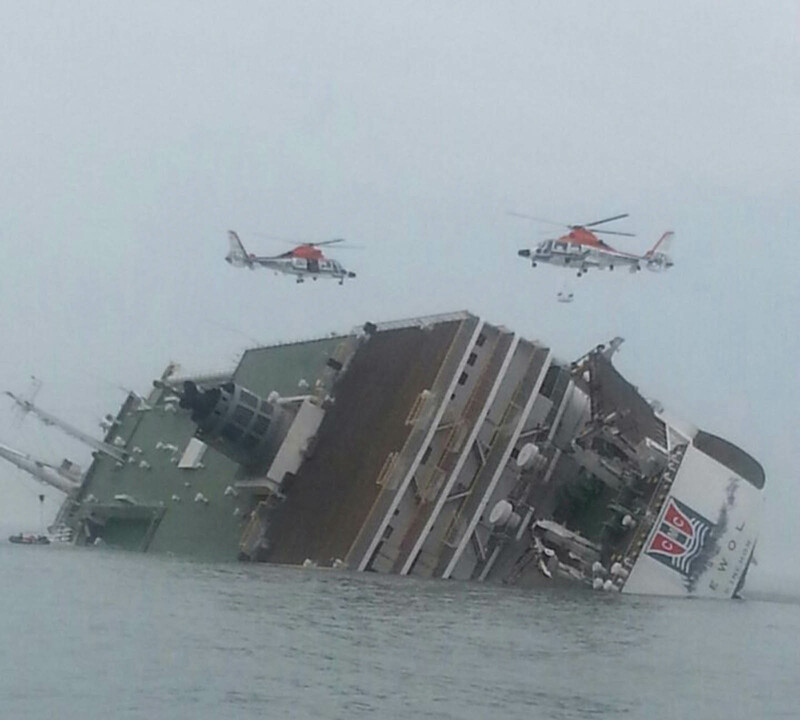 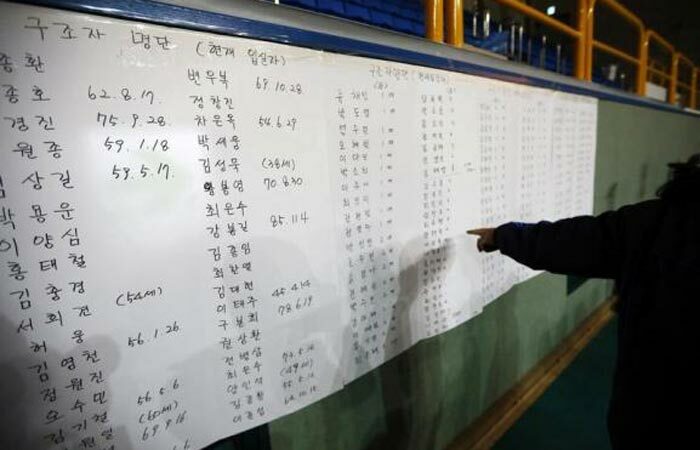 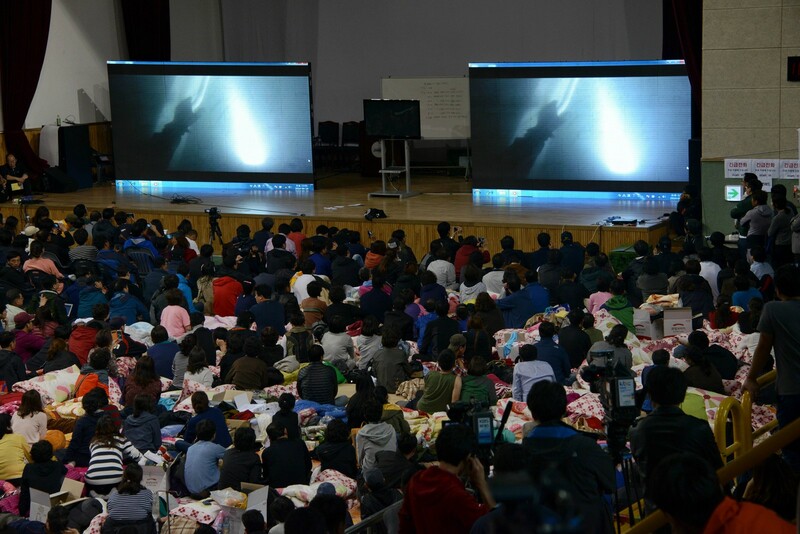 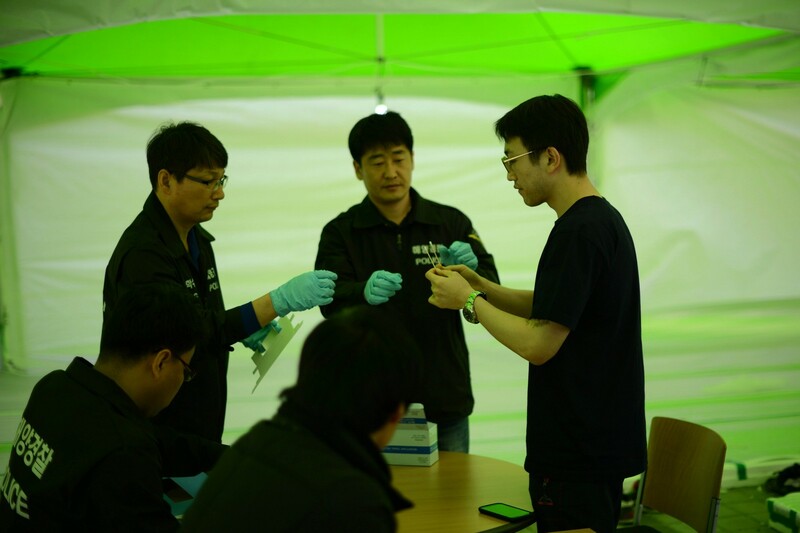 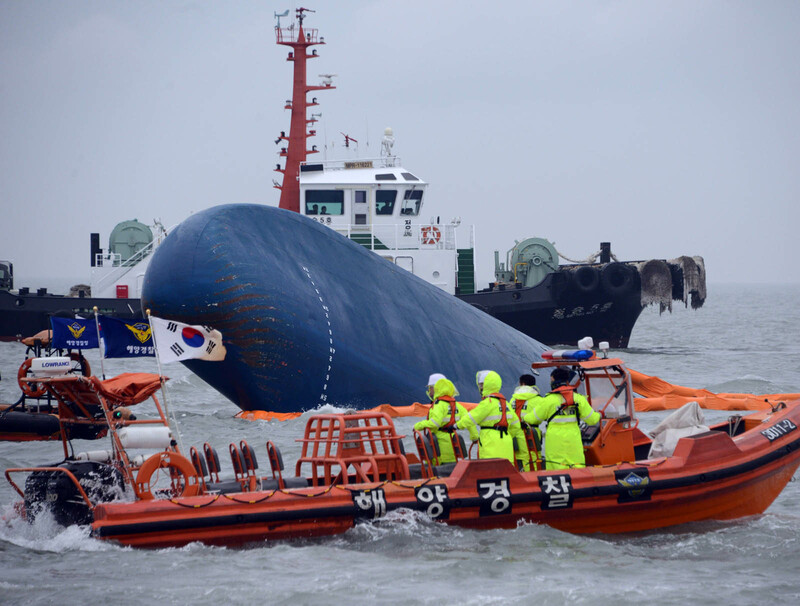 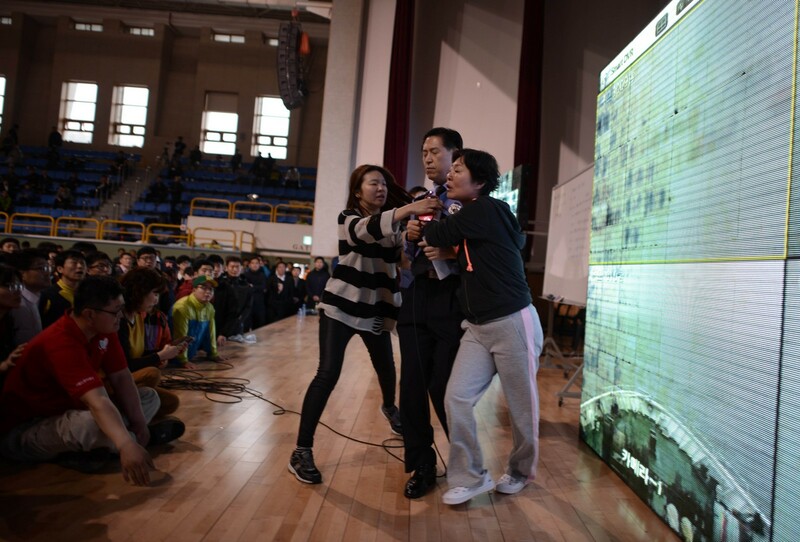 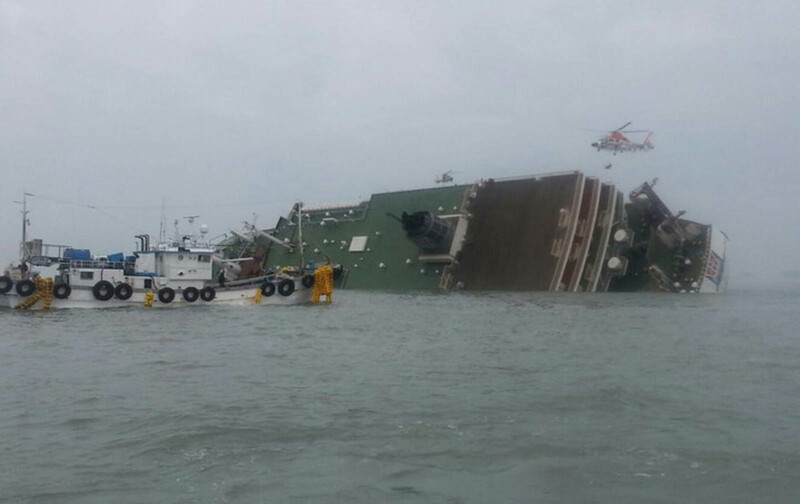 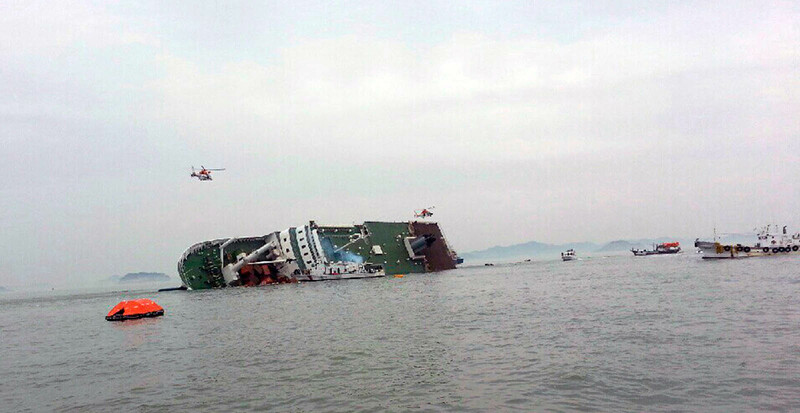 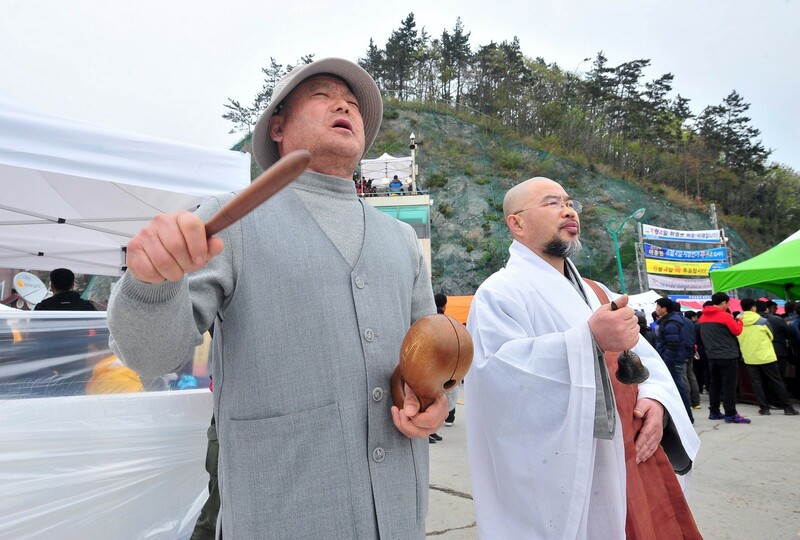 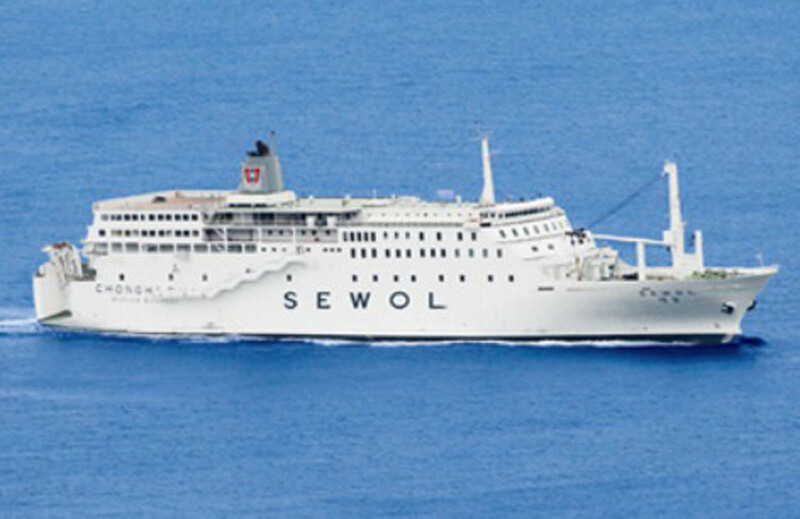 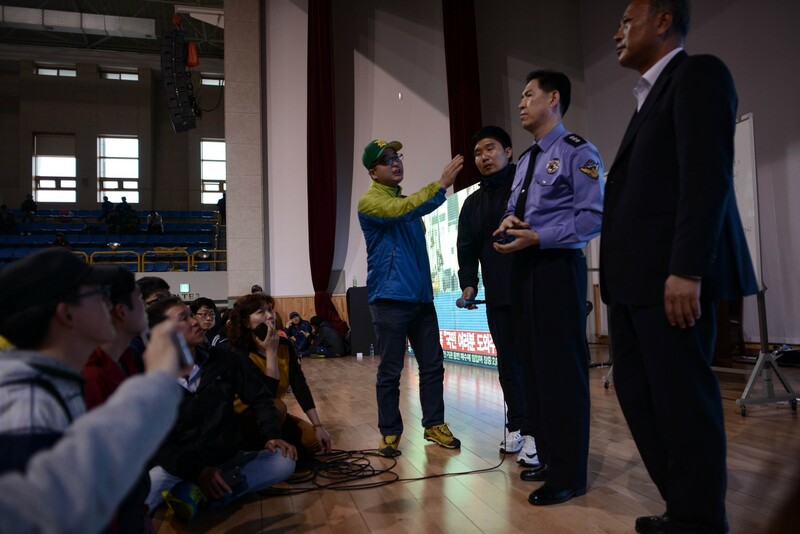 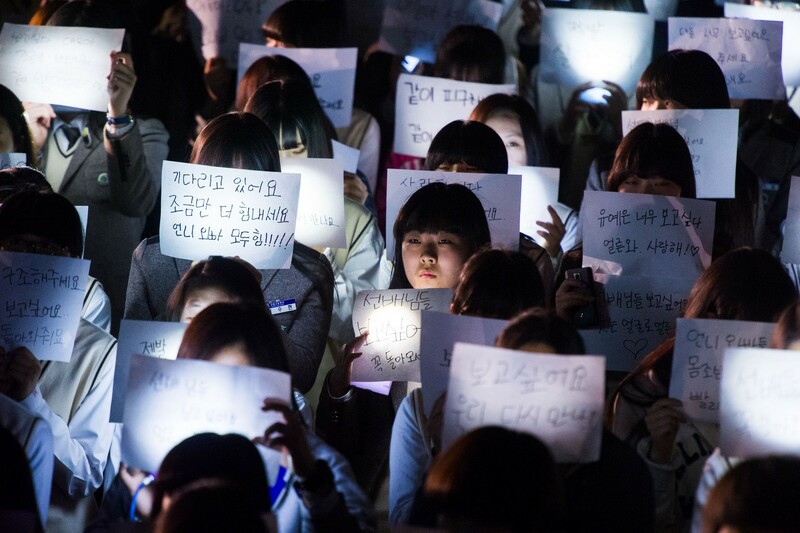 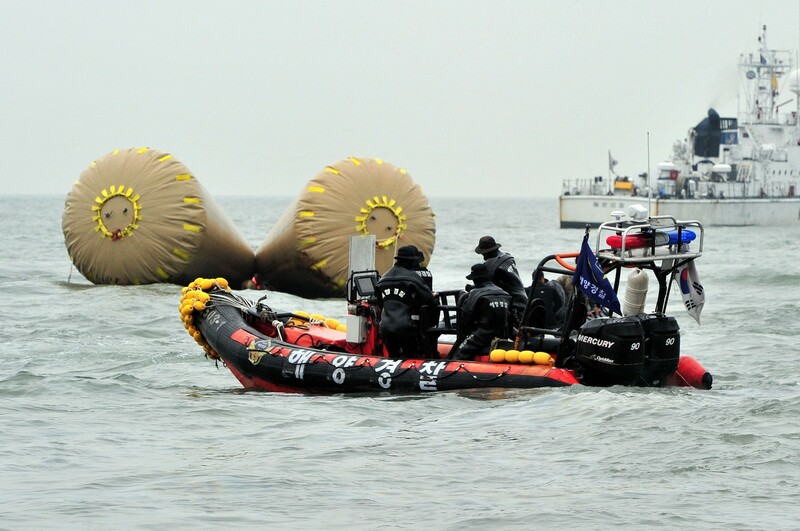 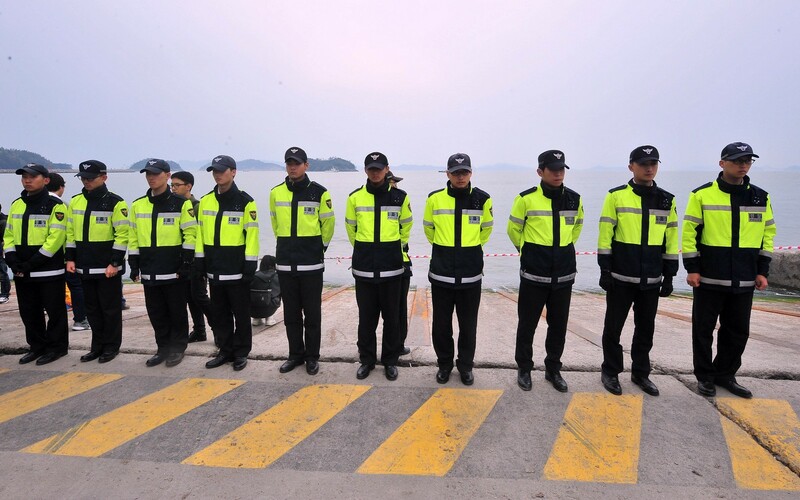 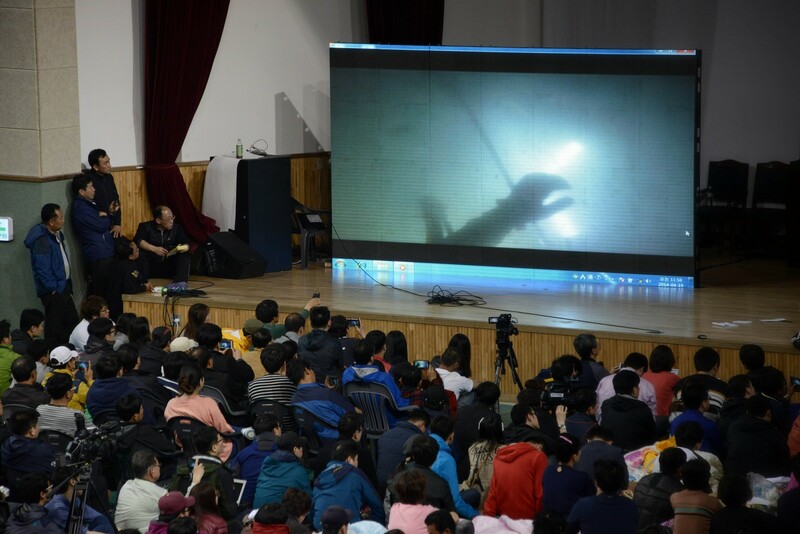 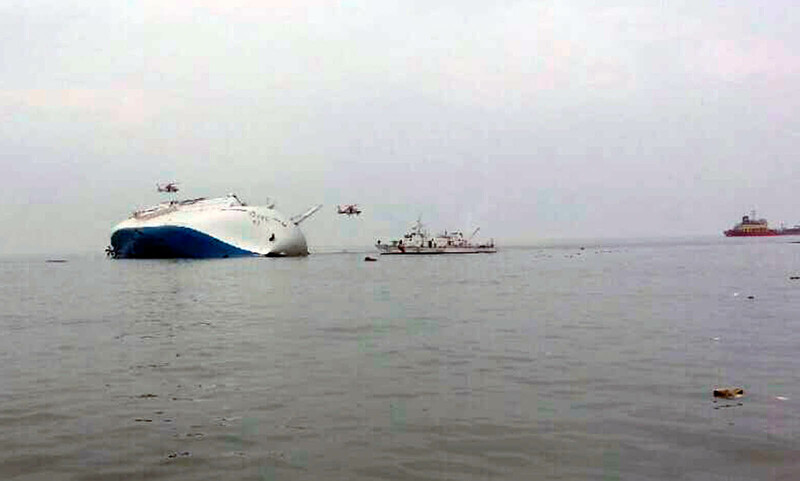 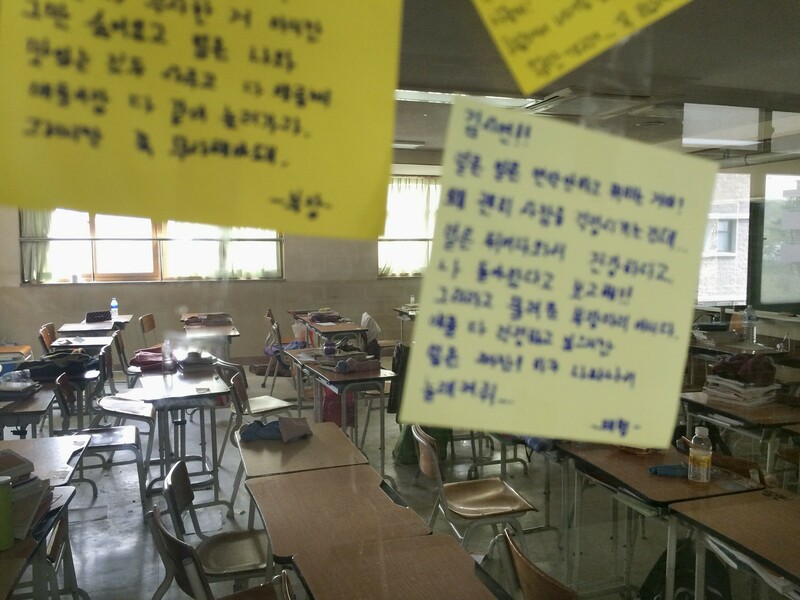 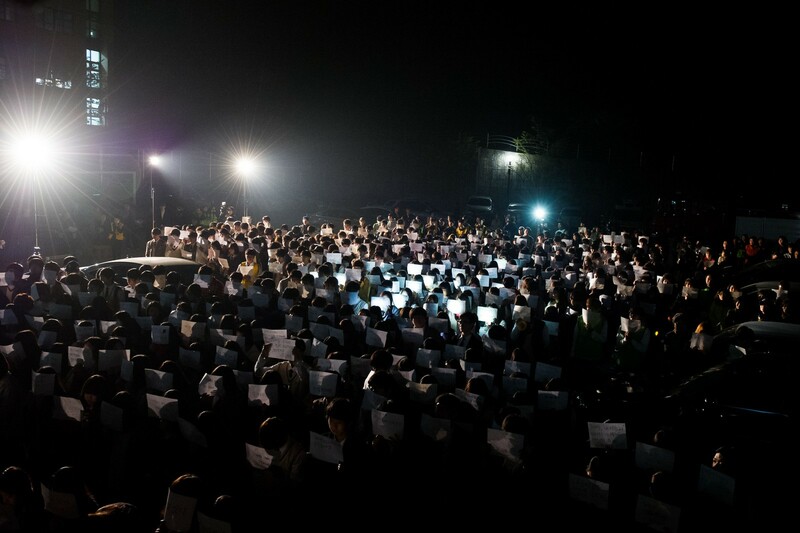 In the final nerve-wracking moments before the vessel began listing dangerously, an unidentified crew member on the 6,825-tonne Sewol repeatedly asked an official from Jindo Vessel Traffic Services (VTS) whether help was on the way. 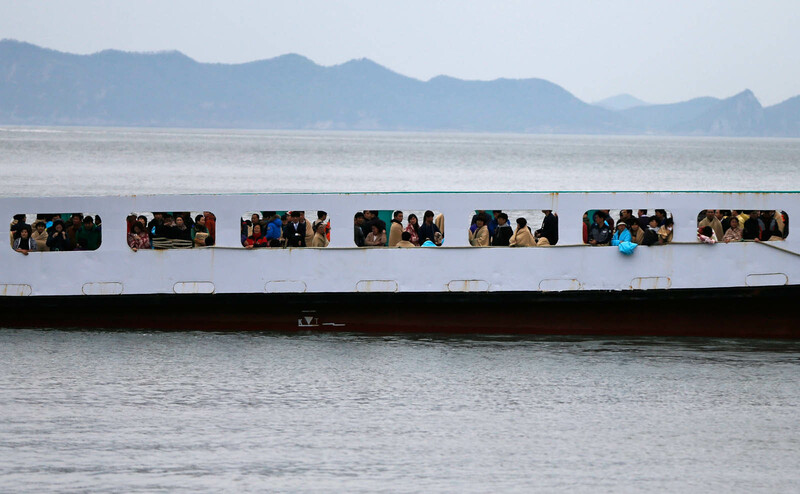 "We are listing. 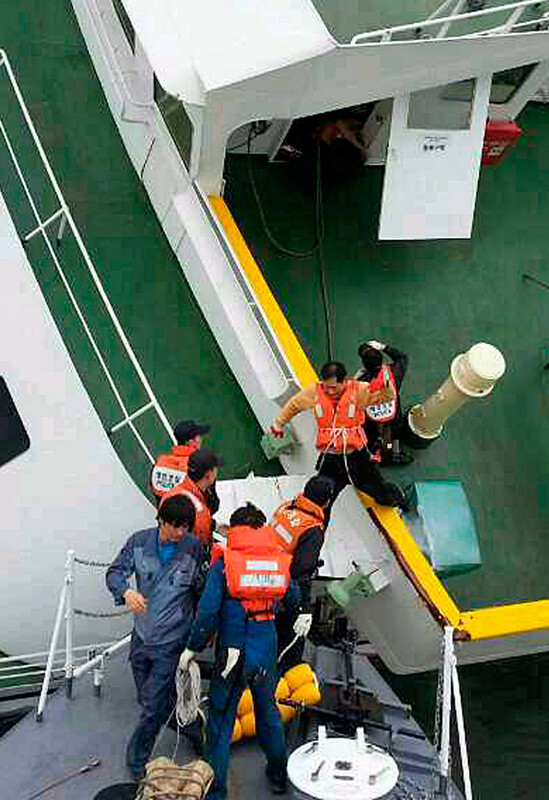 Now we are about to go down," the crew member said. 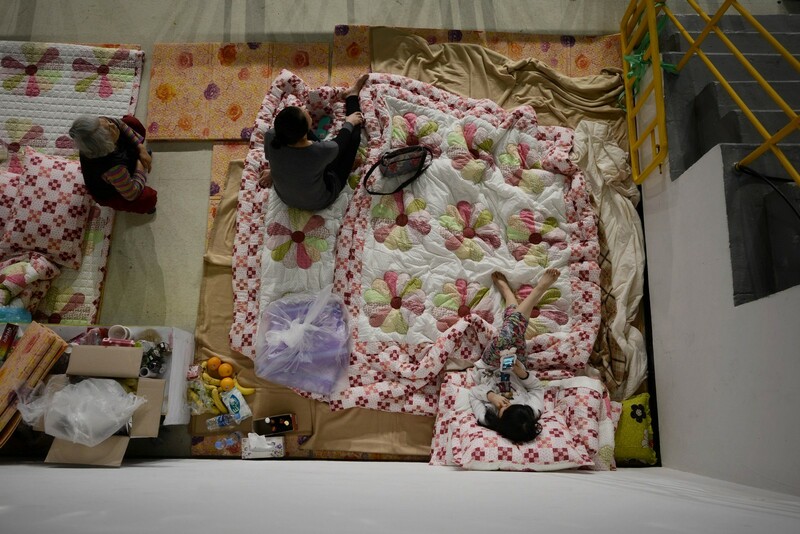 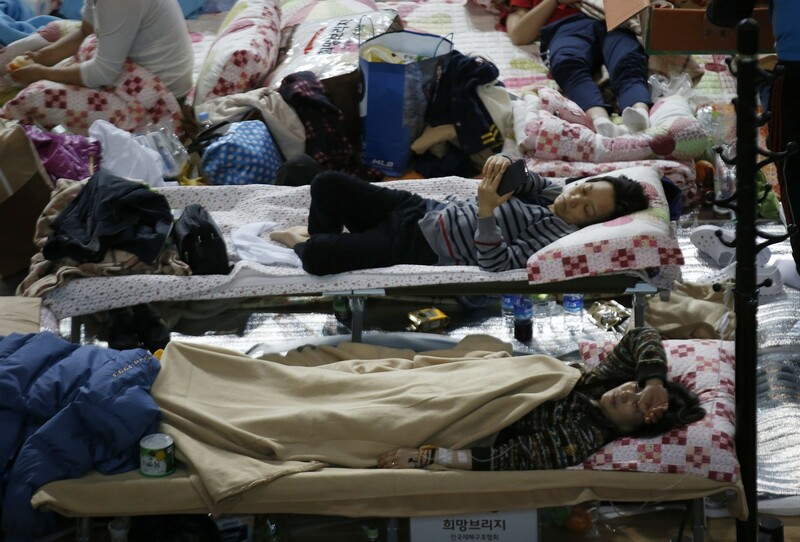 "It has tilted so much and we can hardly move." 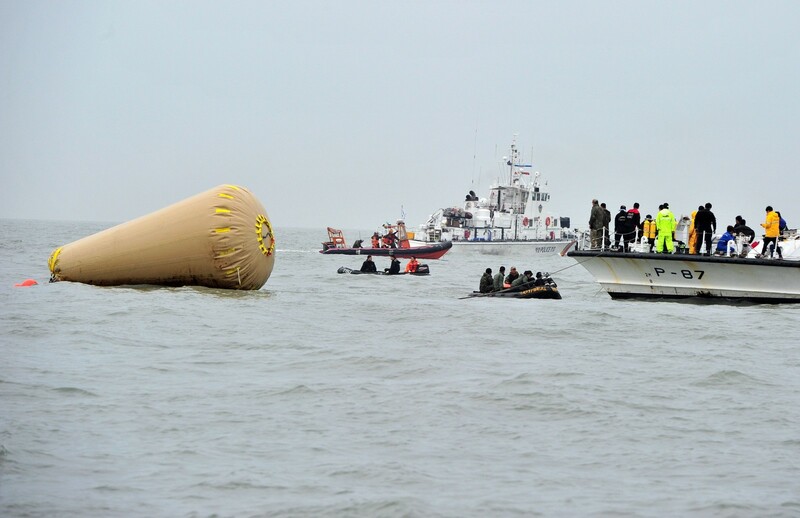 In another message, the crew member revealed that safety instructions couldn't be relayed to passengers as the PA system on board was broken at that crucial moment. 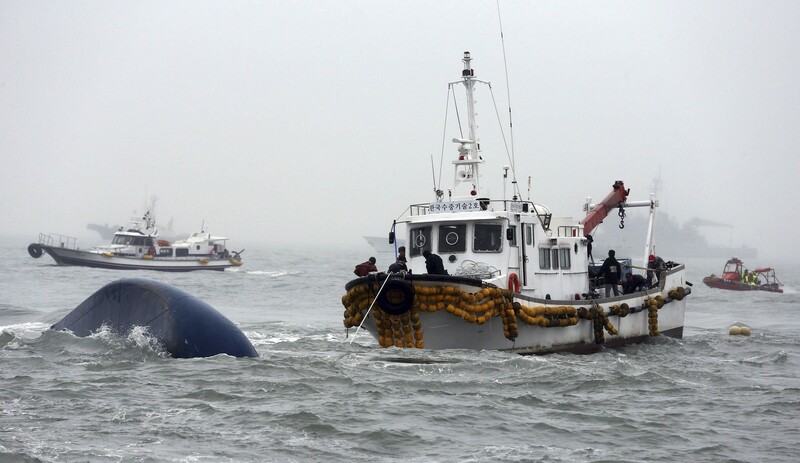 Regardless, "please advise passengers to wear life jackets and wear as many layers as possible," the VTS official retorted. 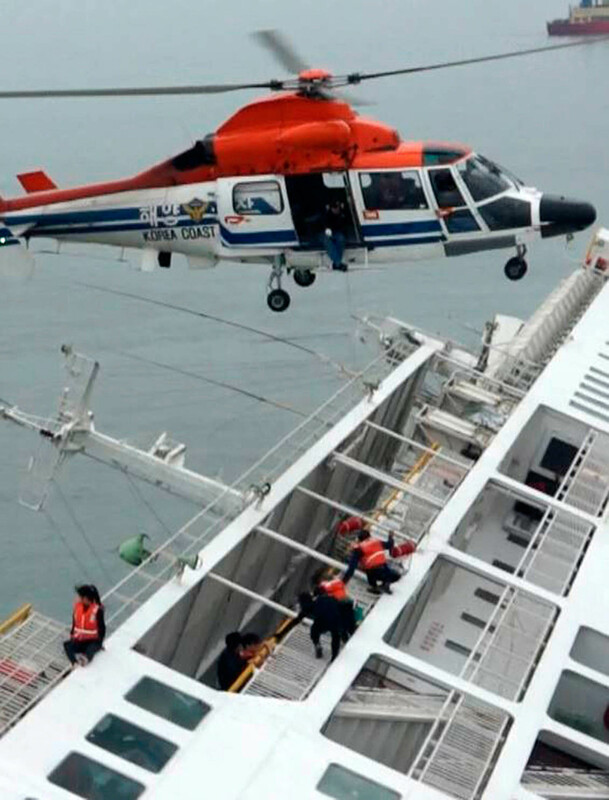 "Would passengers be rescued immediately once evacuated?" 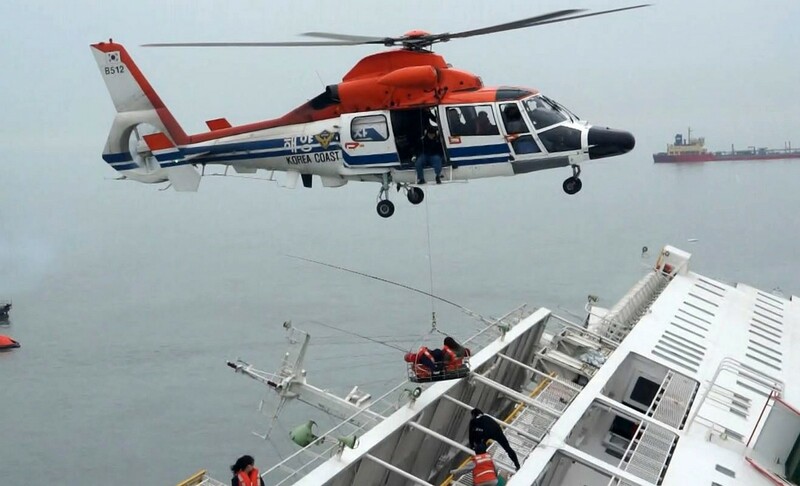 the crew member said in response. 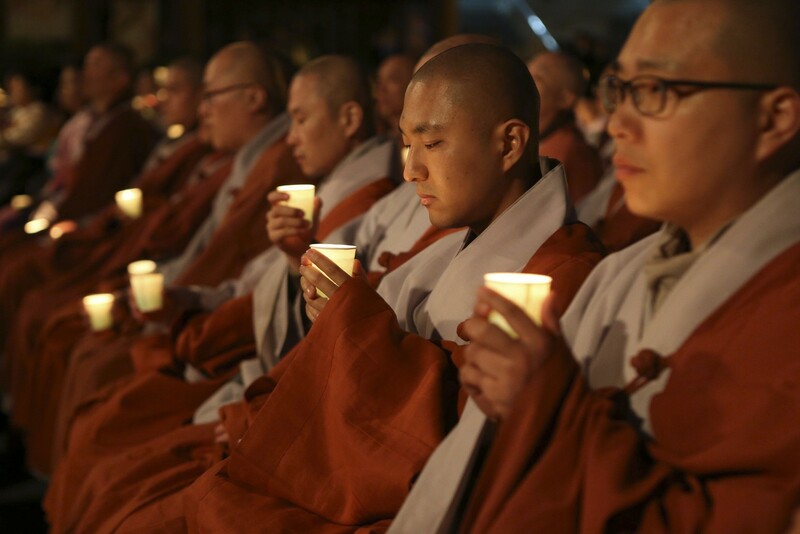 "Make them wear a life ring at least and let them float. 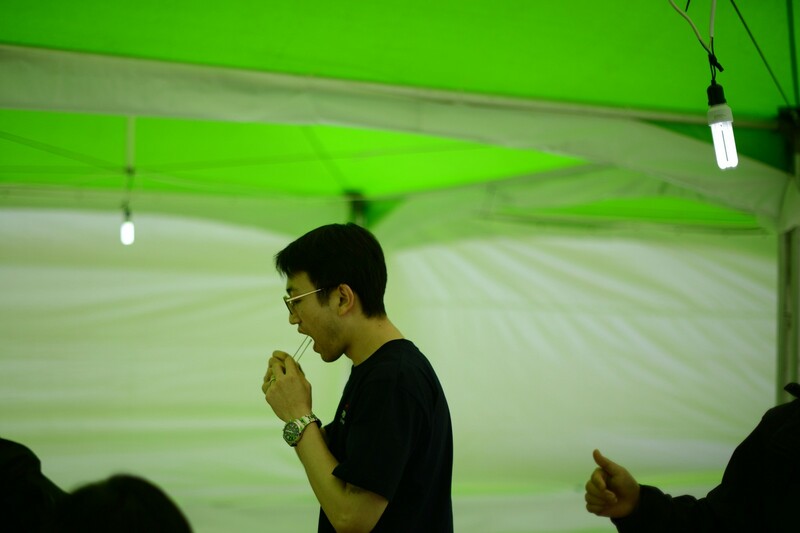 Now!" 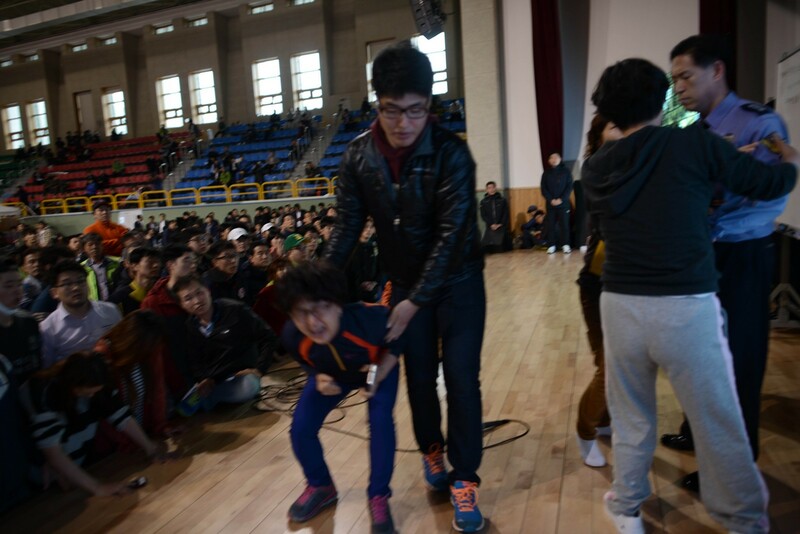 the official insisted. 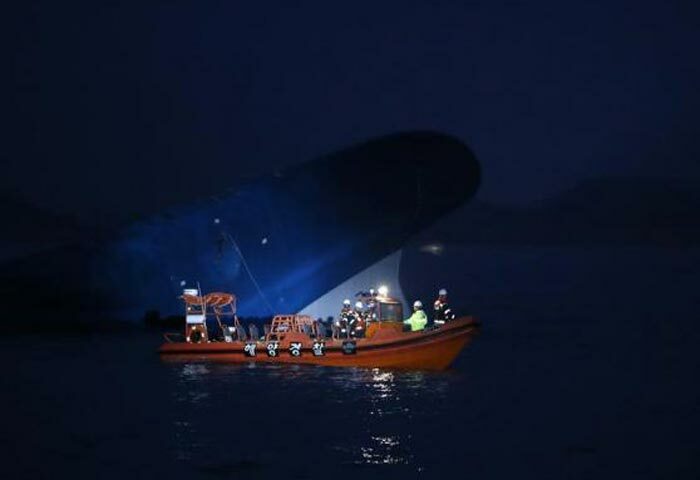 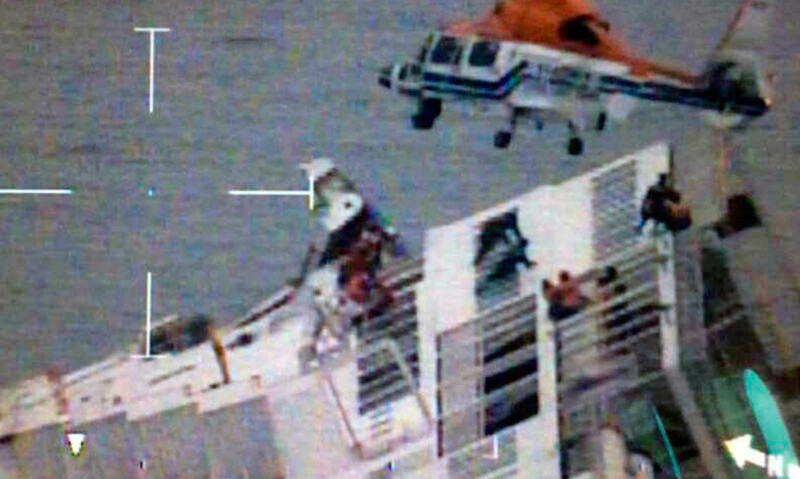 The crew have faced vehement criticism over the delay in mobilising passengers as the ship first foundered, a possibly fatal error of judgement before the vessel fully submerged with hundreds trapped on board. 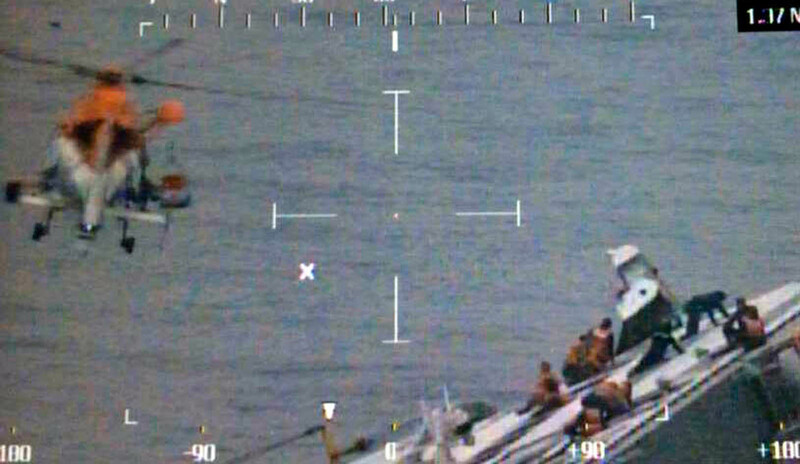 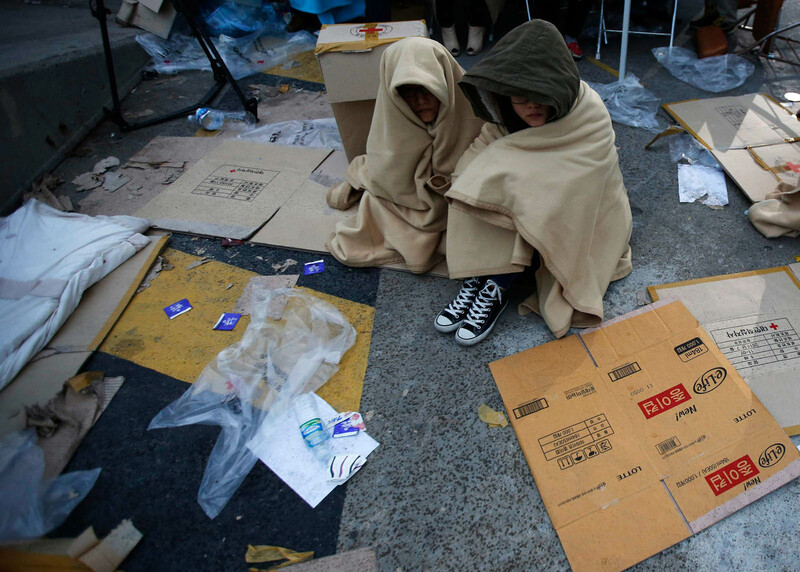 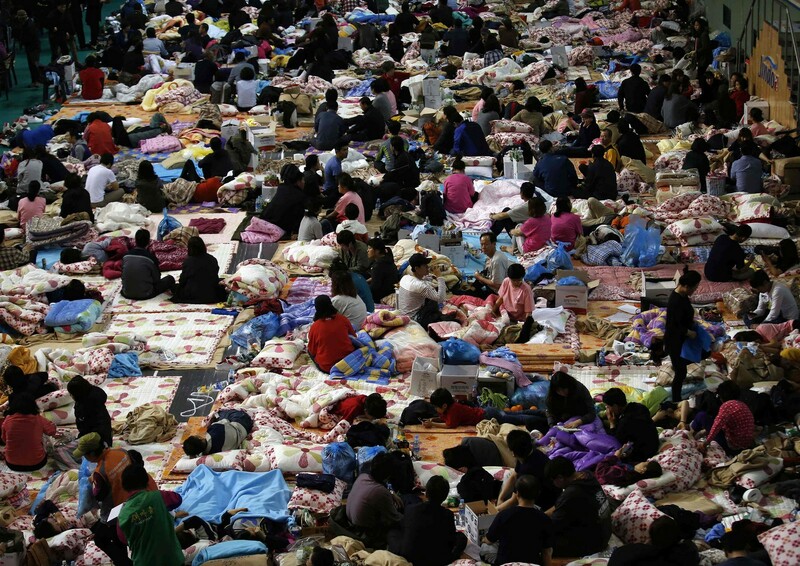 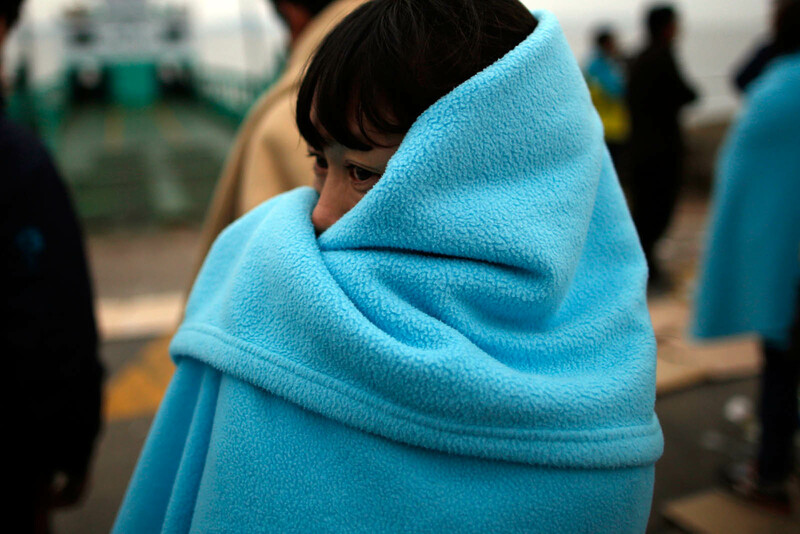 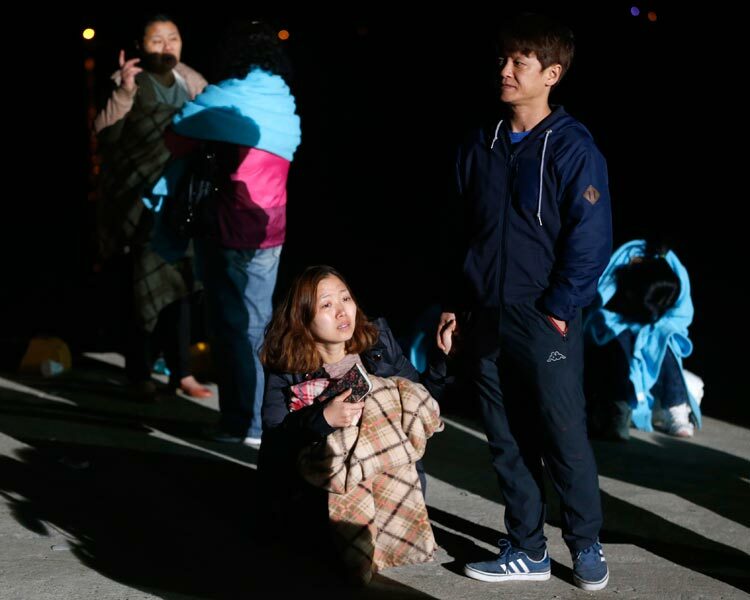 Experts have suggested that many more people might have escaped if they had moved to reach evacuation points before the ship listed sharply and water started flooding in. 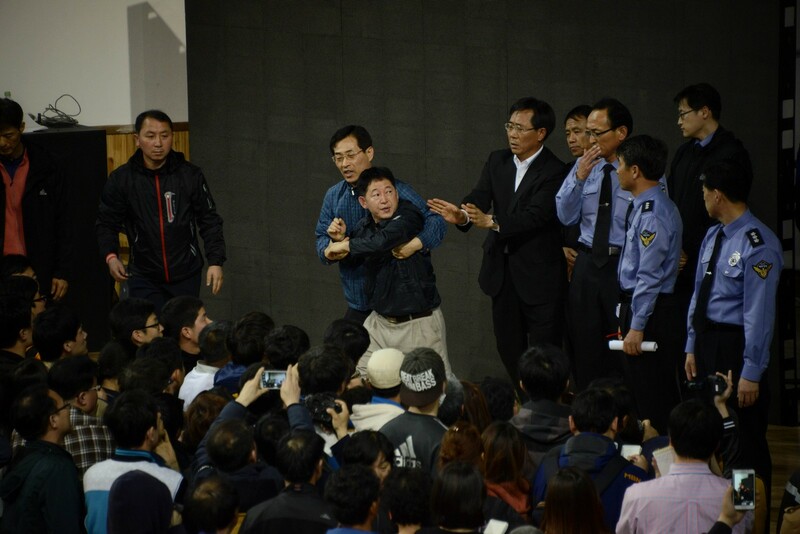 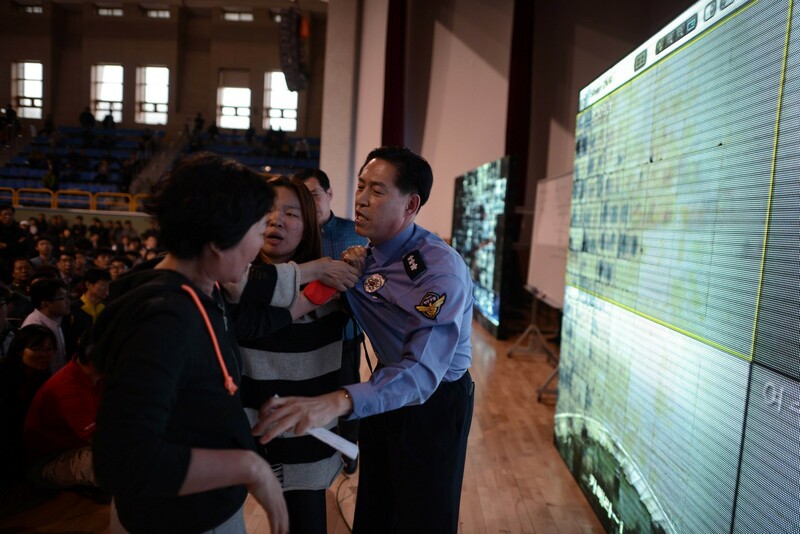 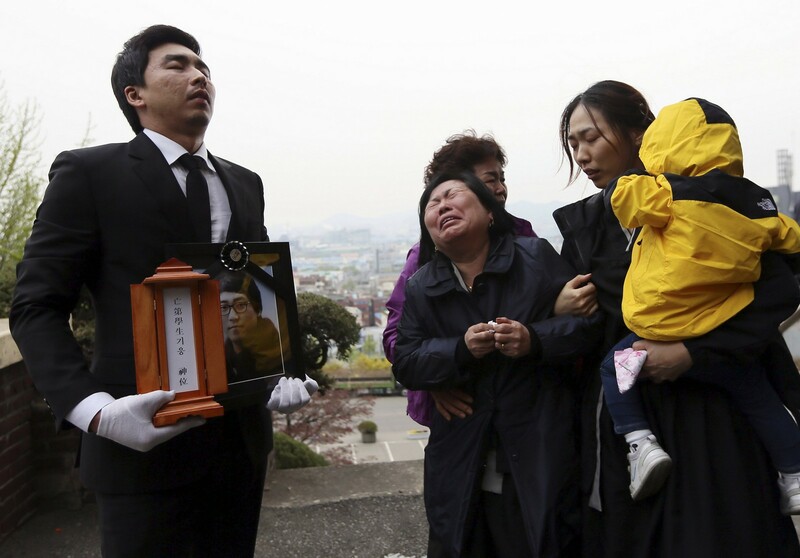 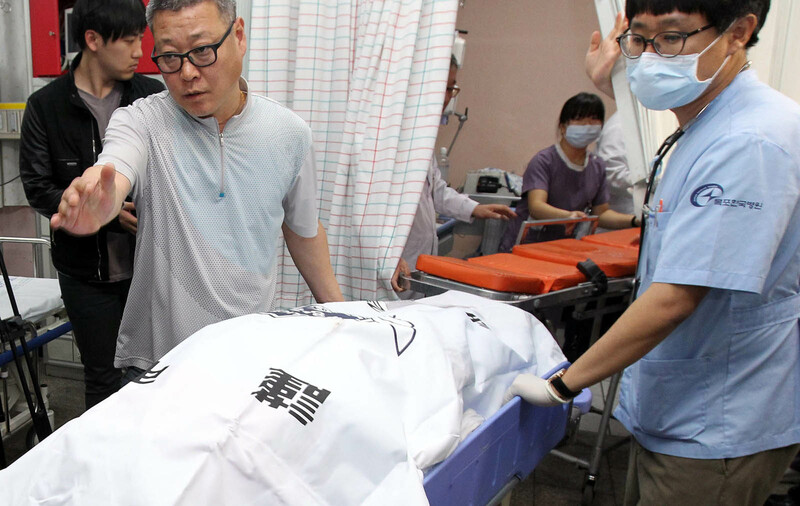 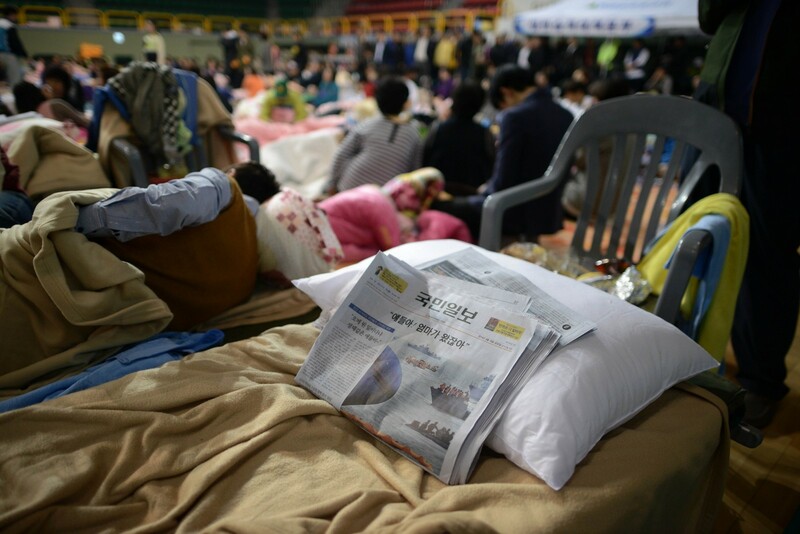 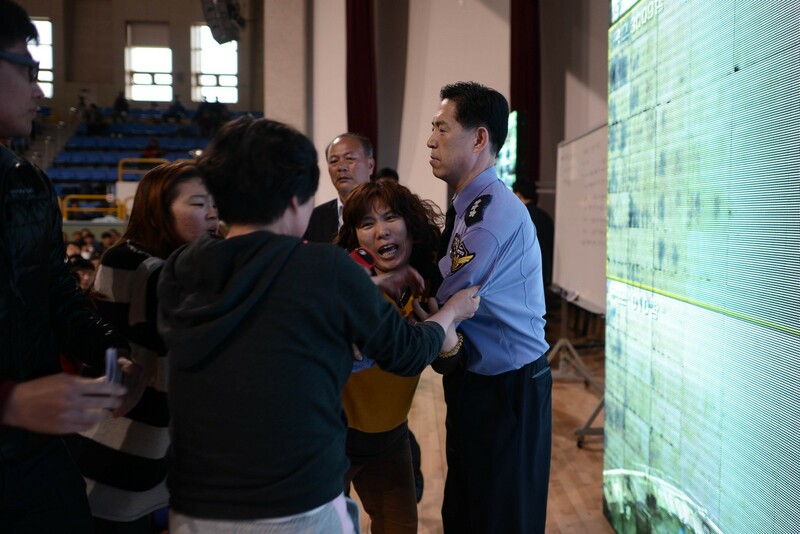 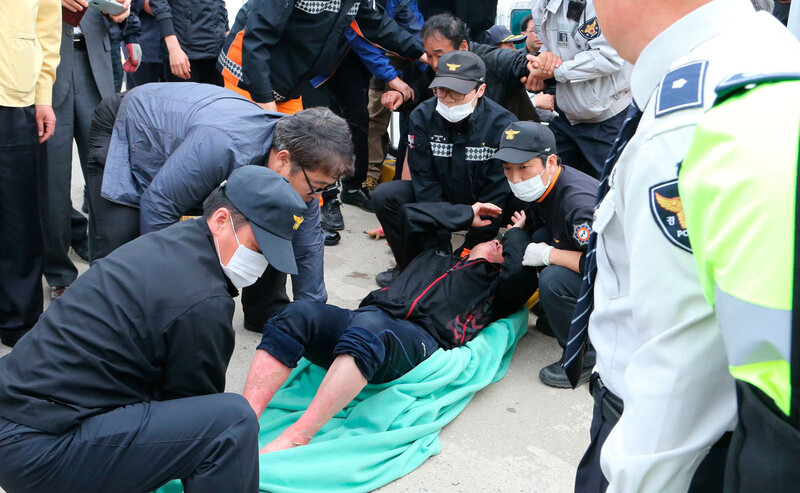 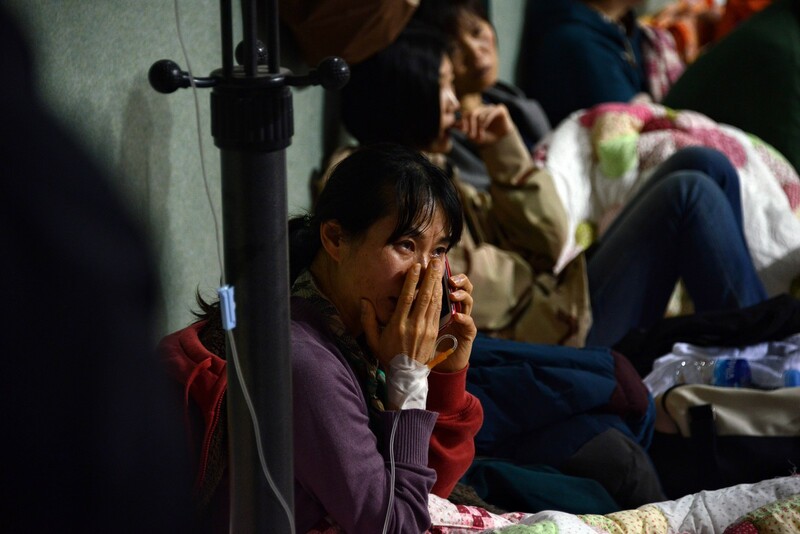 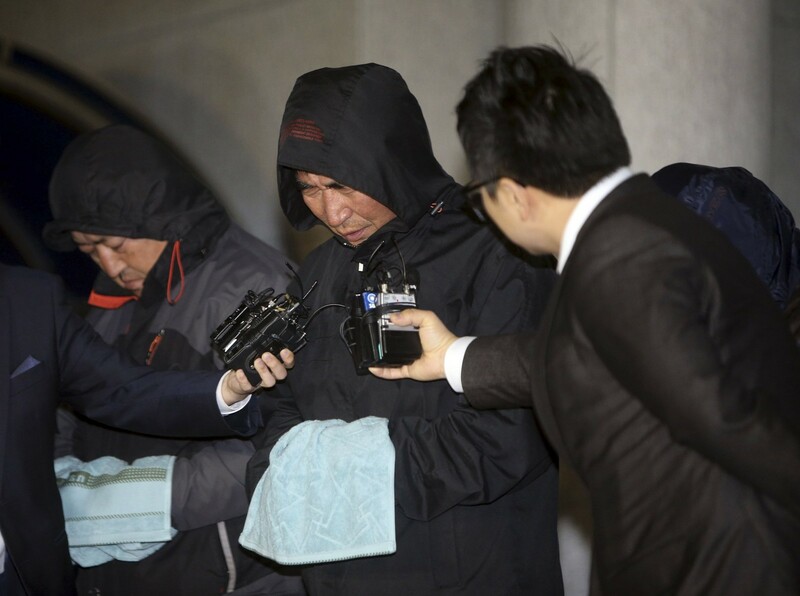 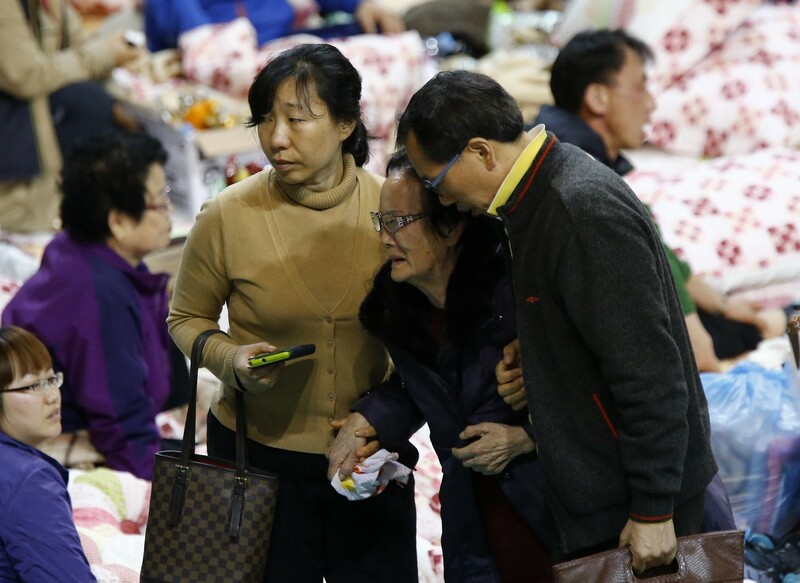 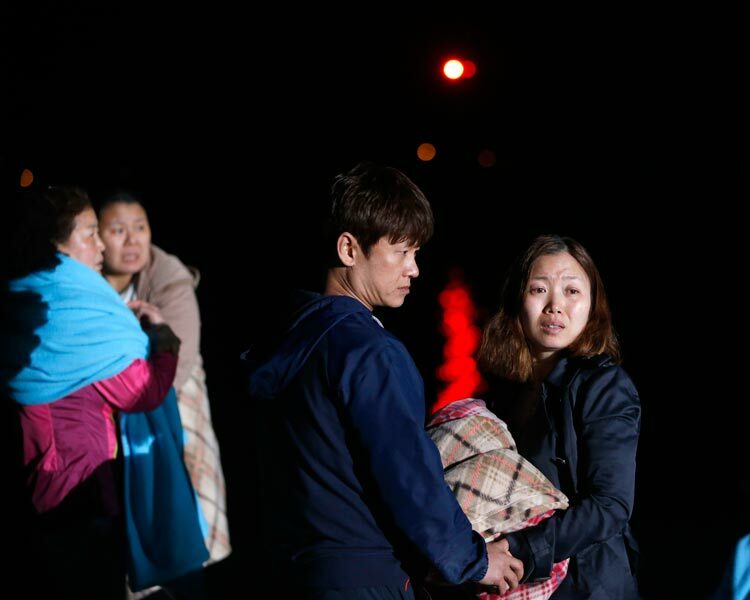 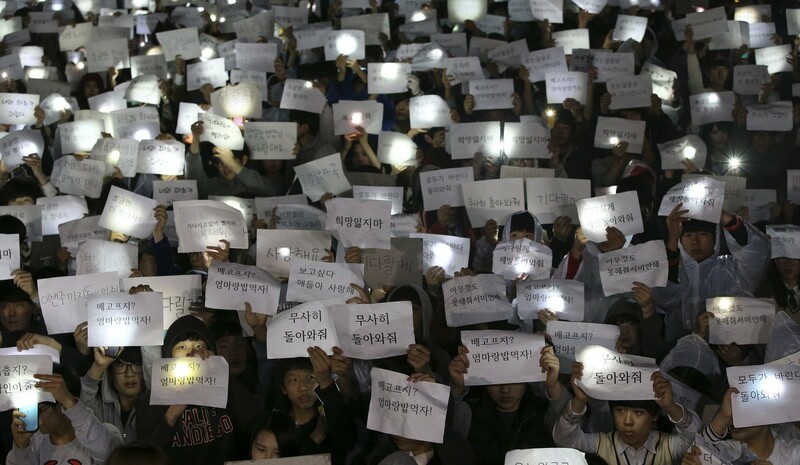 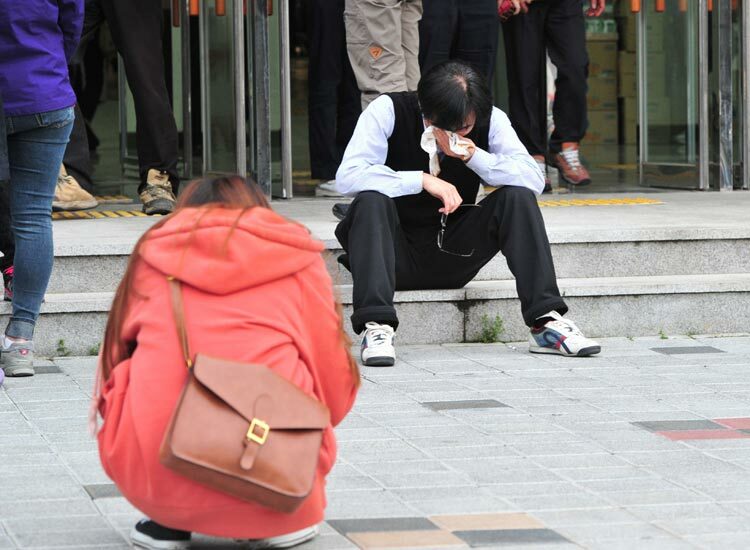 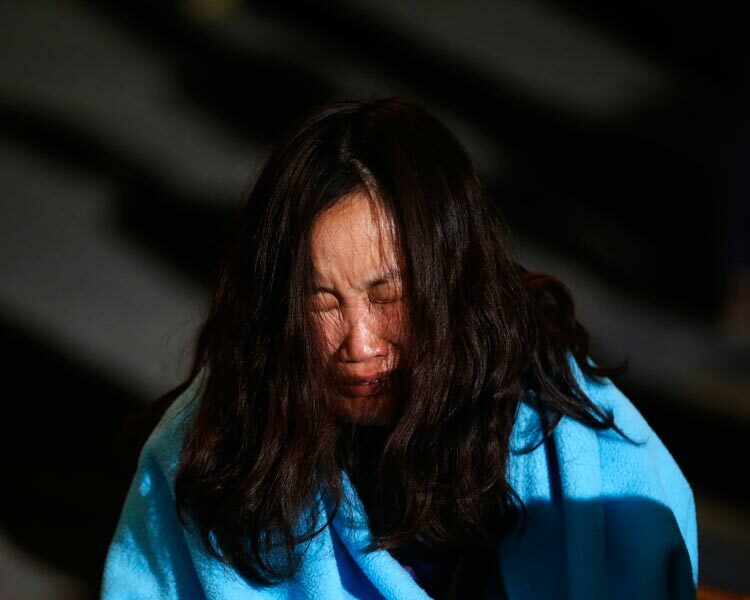 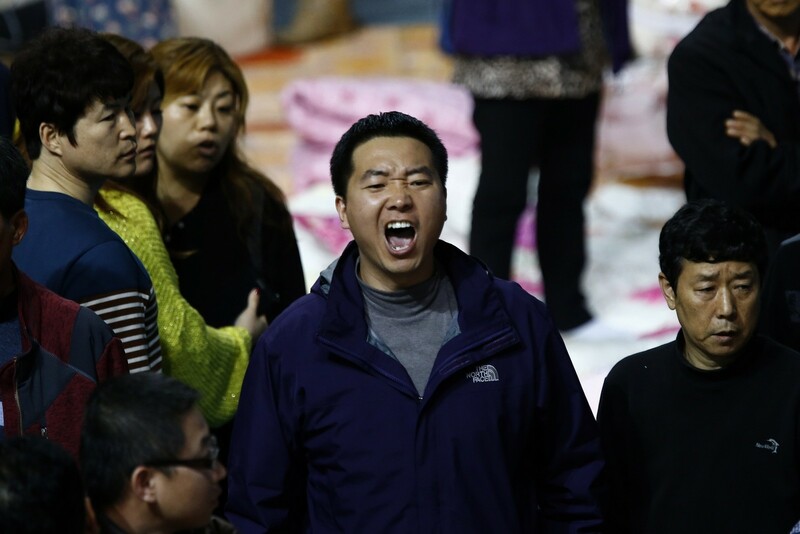 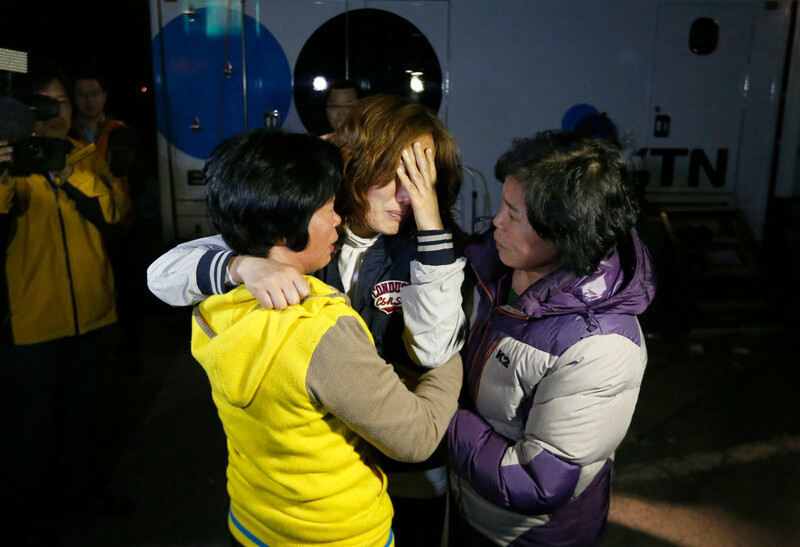 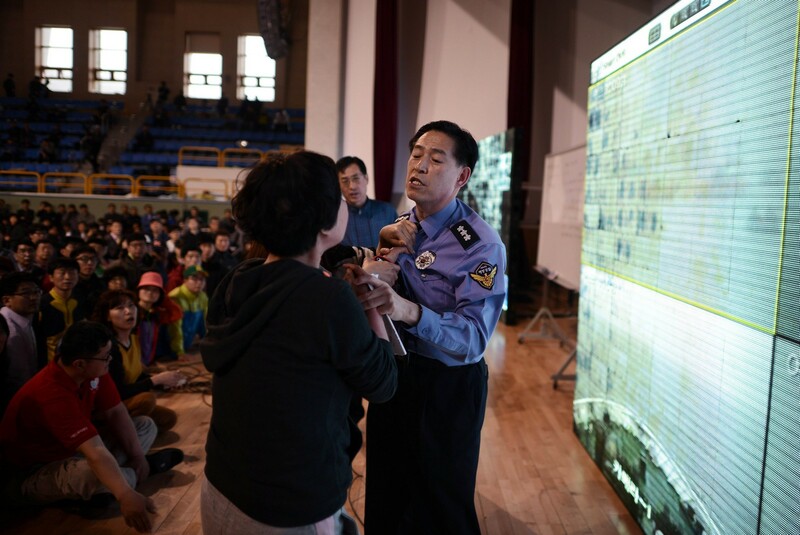 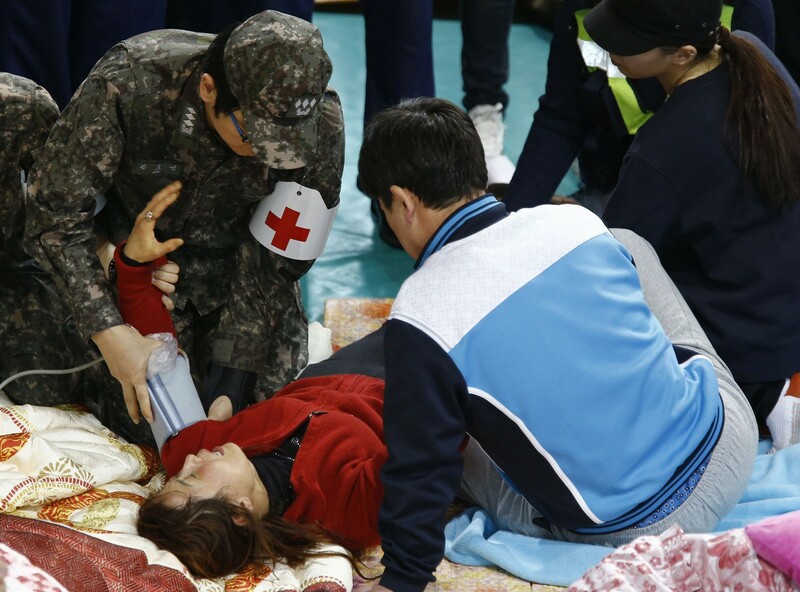 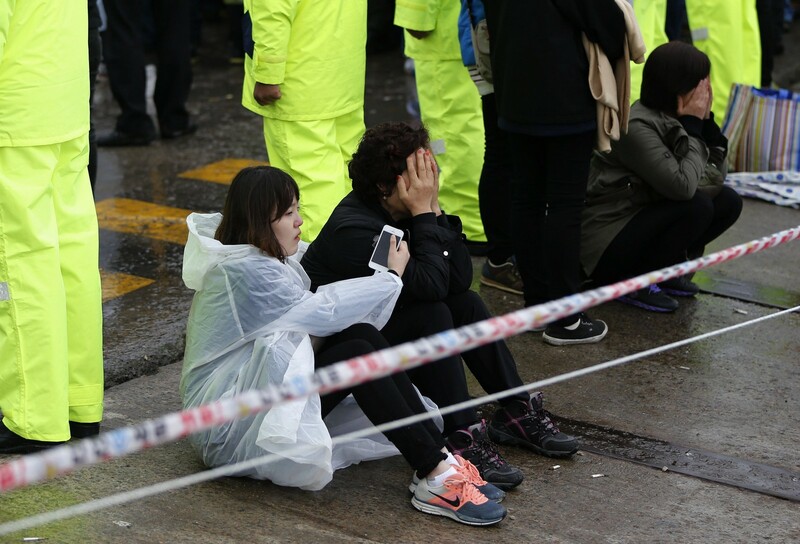 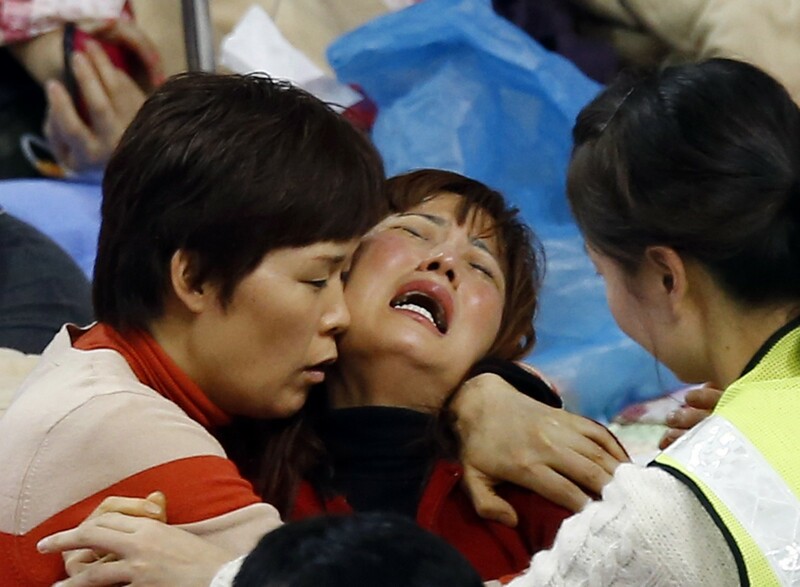 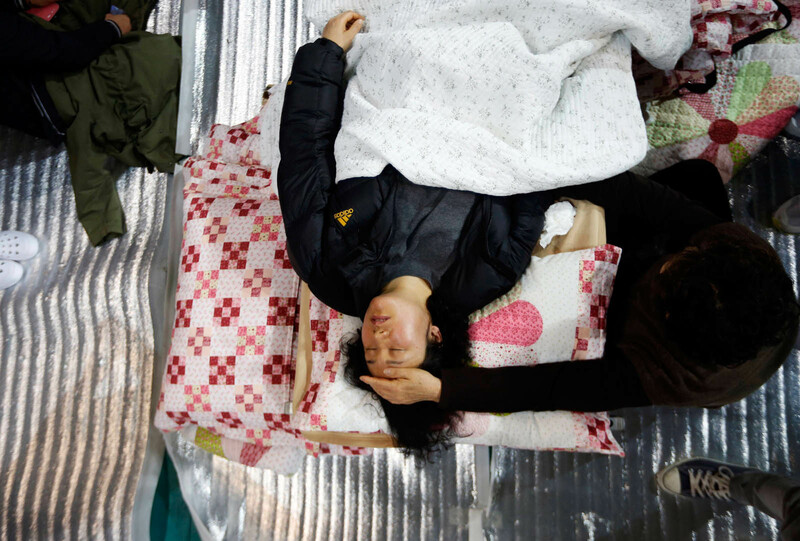 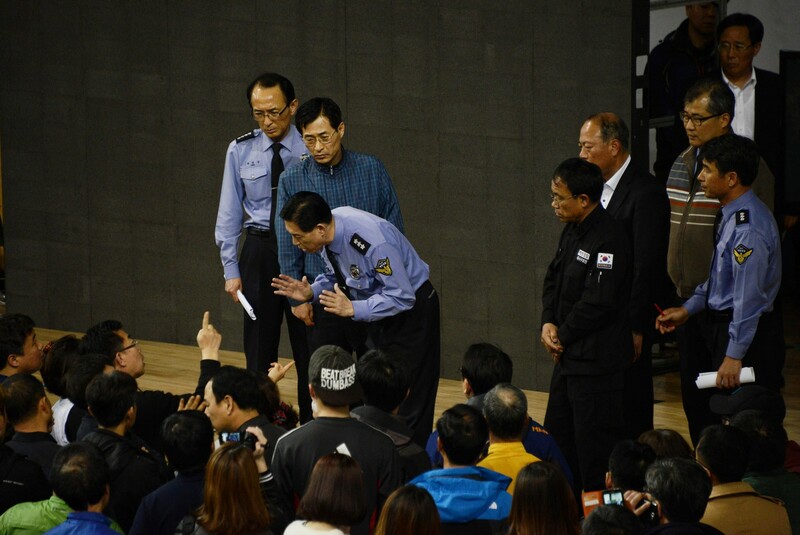 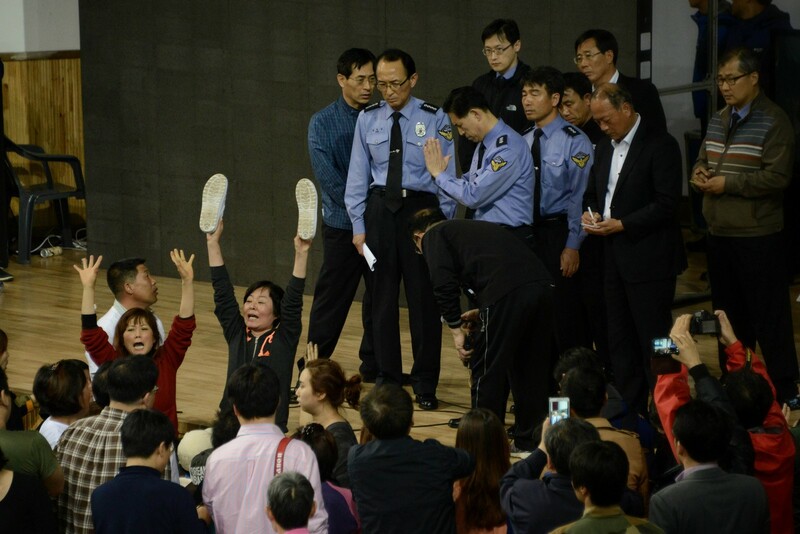 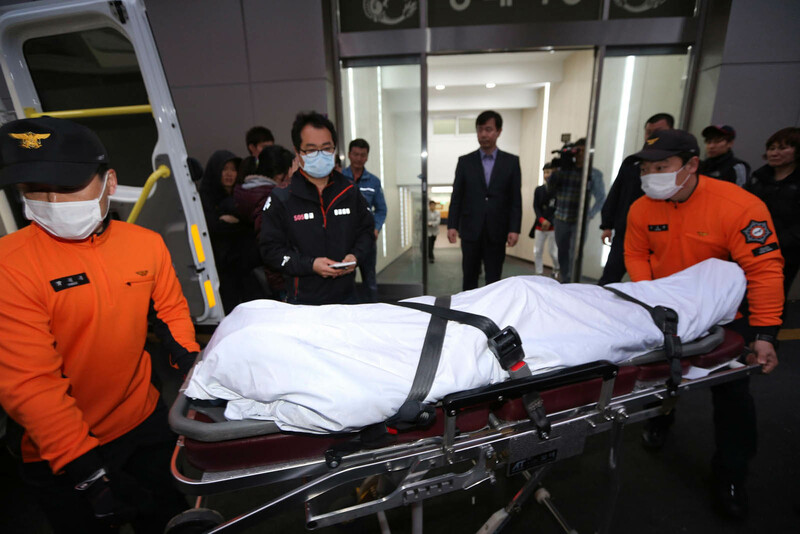 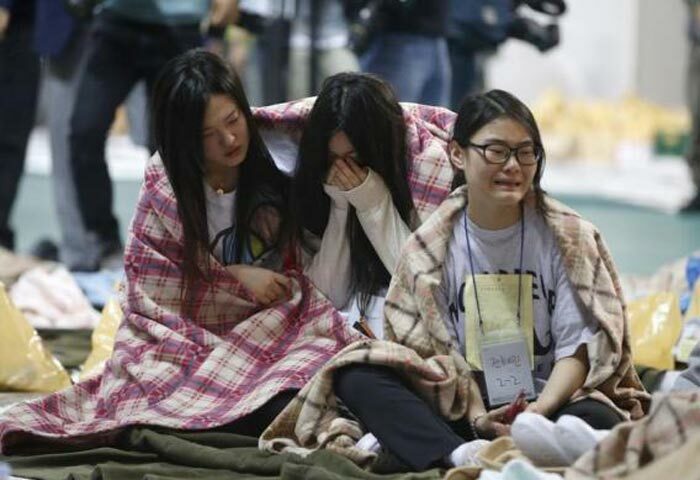 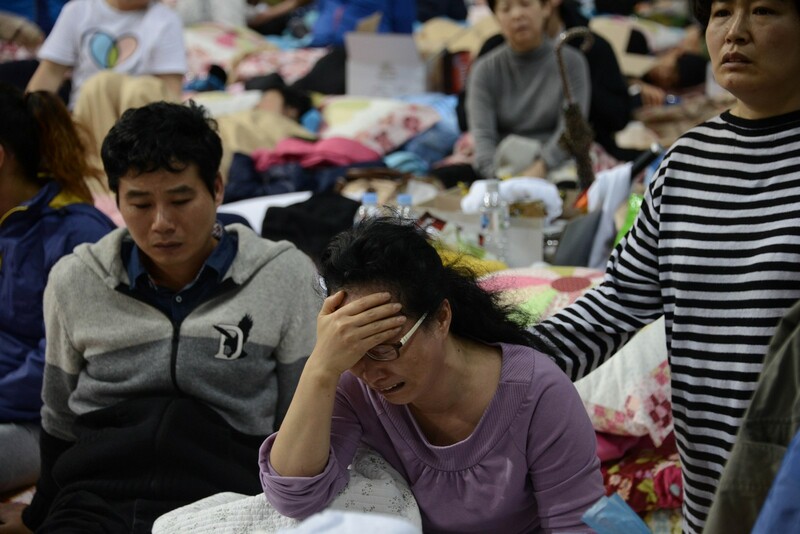 The dramatic transcript released by South Korean officials is bound to fuel anger among distraught relatives of the passengers, some of whom scuffled with police on Sunday over what they say has been a botched response to the disaster. 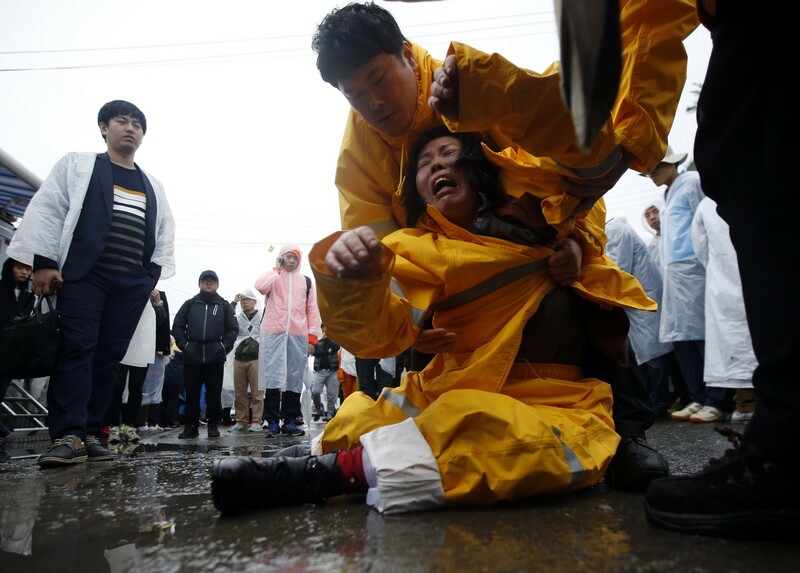 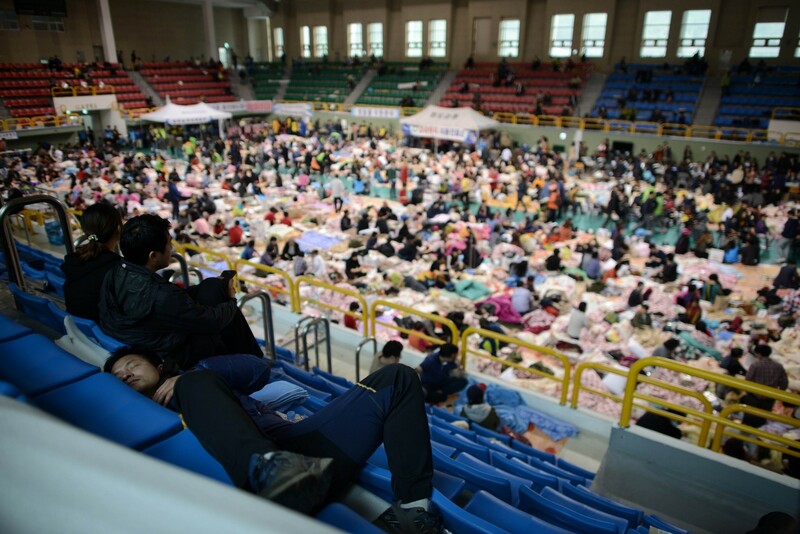 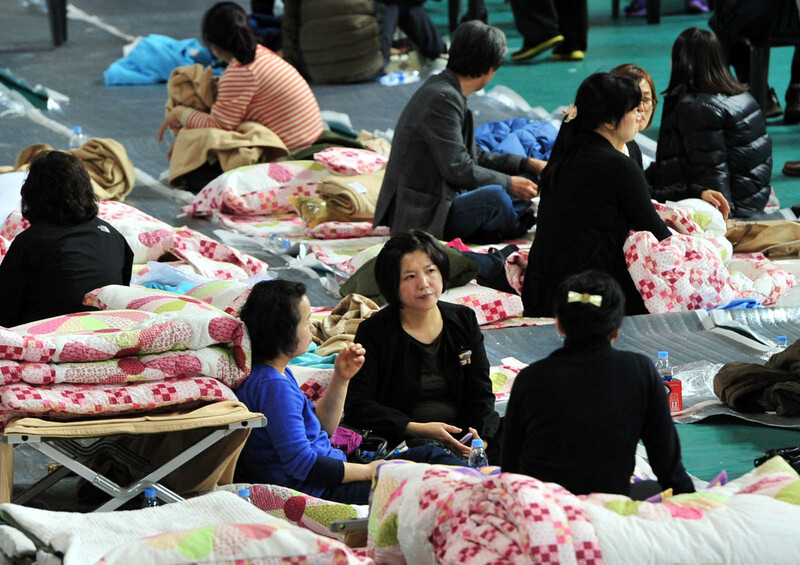 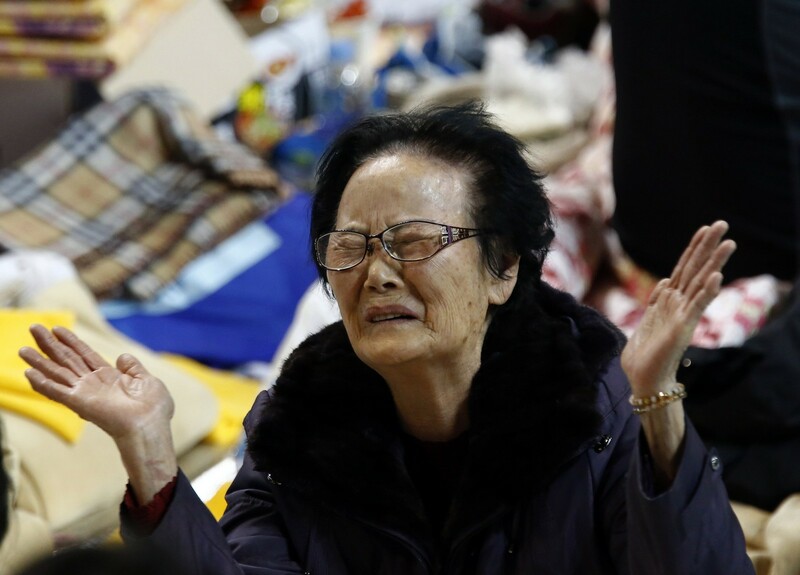 The confirmed death toll from the disaster stands at 59 so far, with 243 people still unaccounted for.